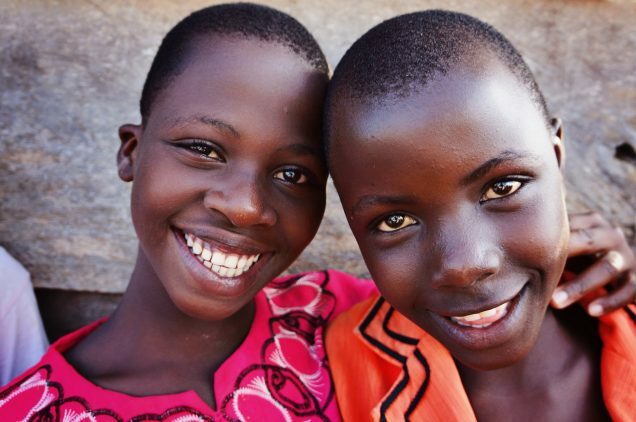 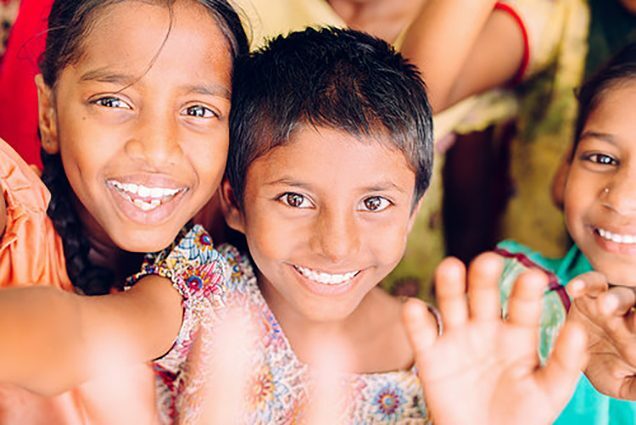 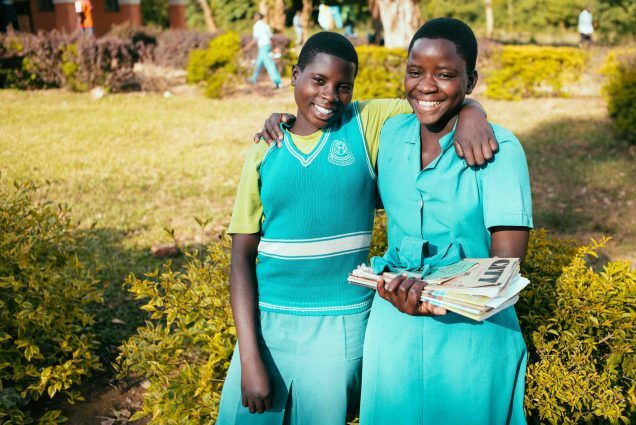 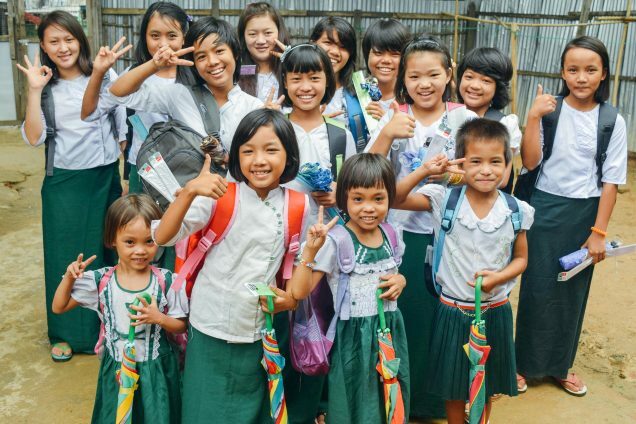 Photo: Girls rescued from child labor are so grateful and happy to get to go to school and receive after-school care. 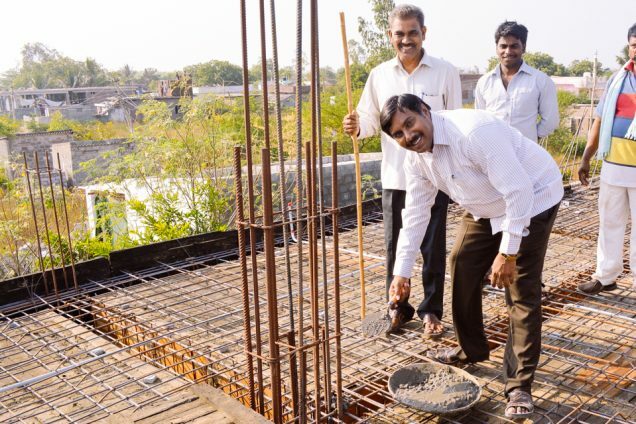 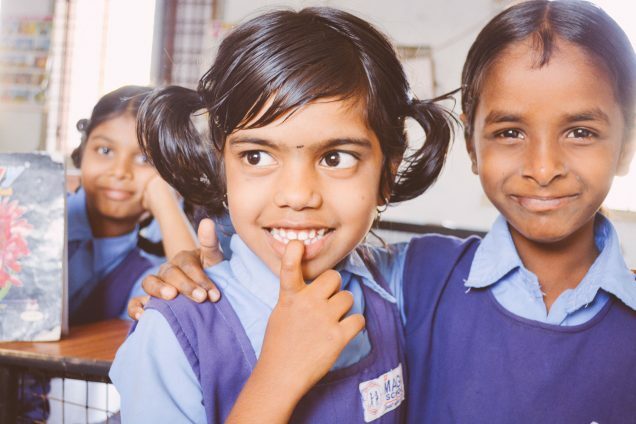 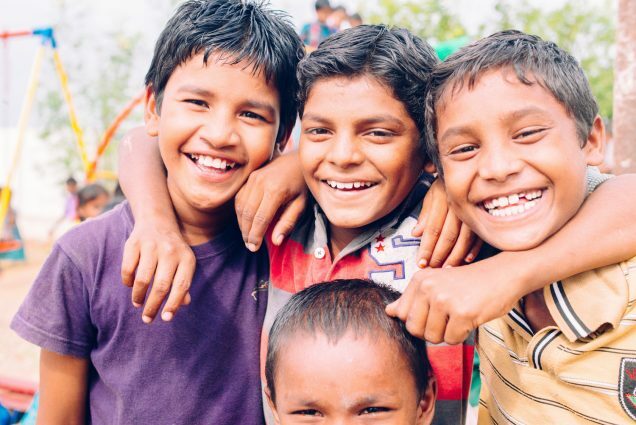 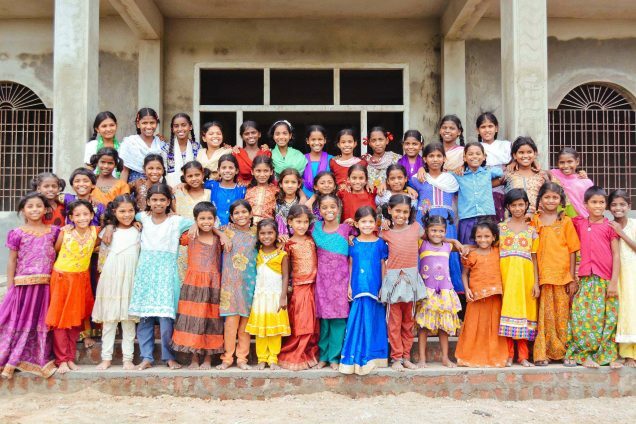 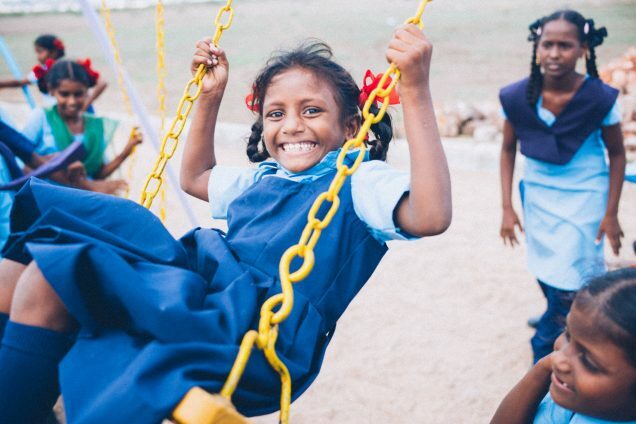 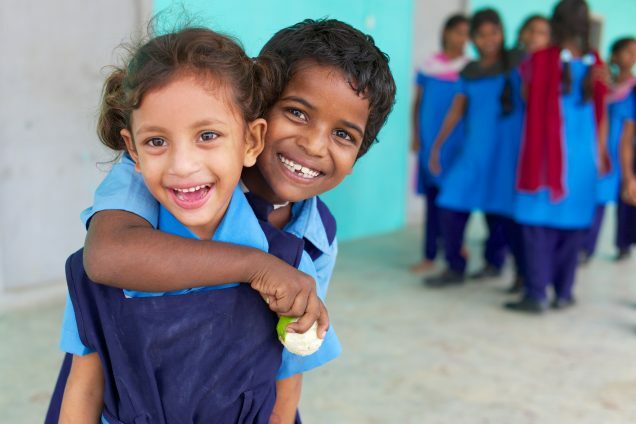 We are happy to report that our Children’s Hope Center in Hyderabad, India, is nearing the end of its 5th school year since we began operation in 2010. 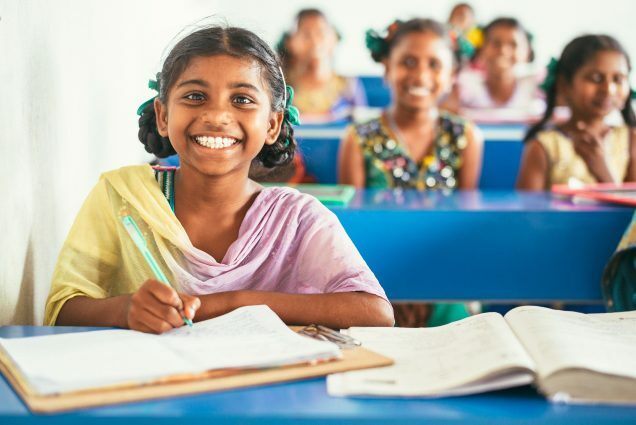 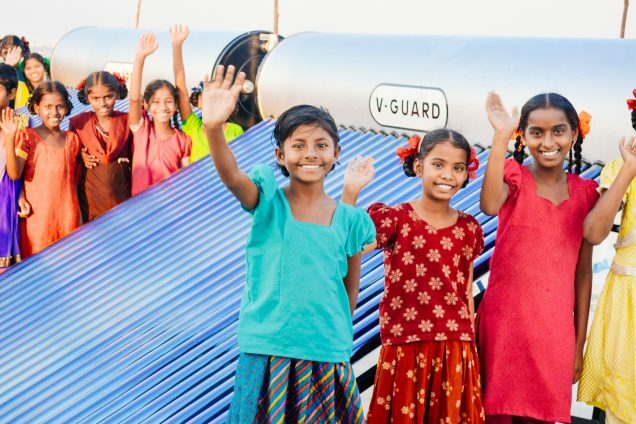 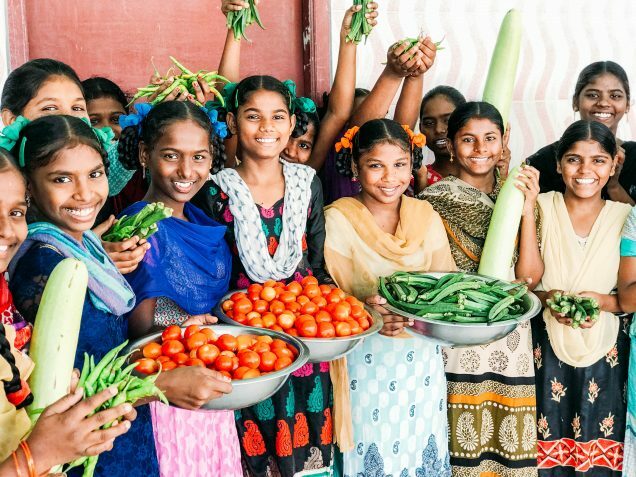 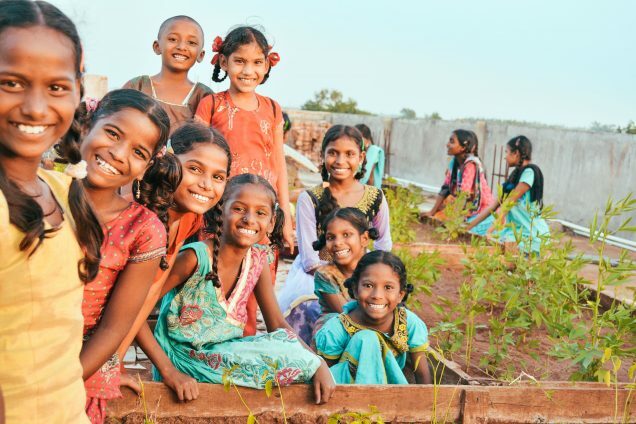 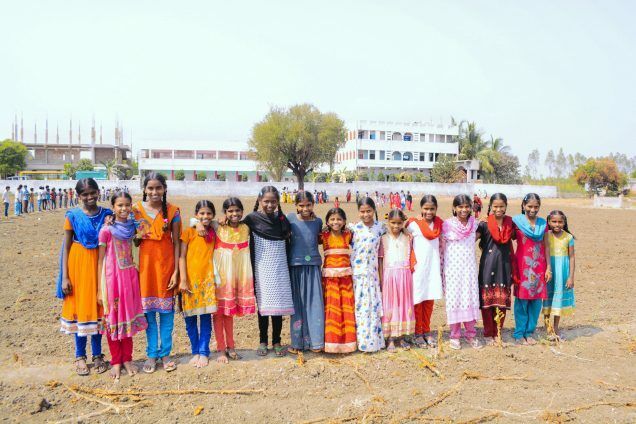 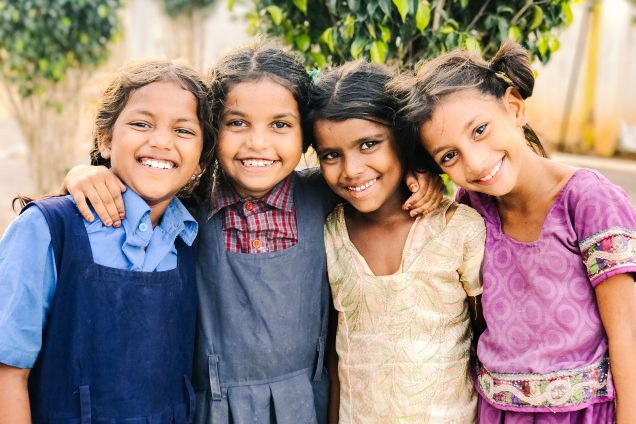 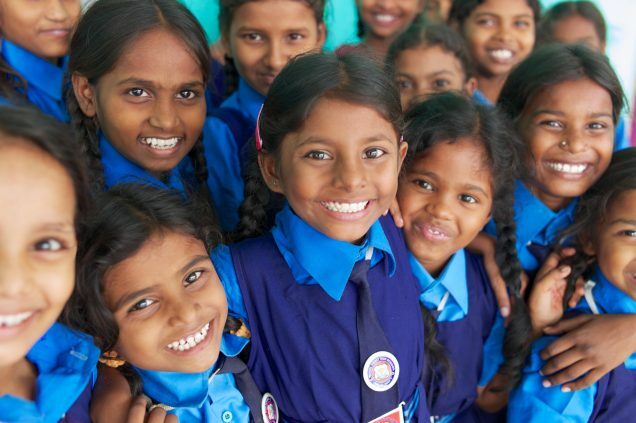 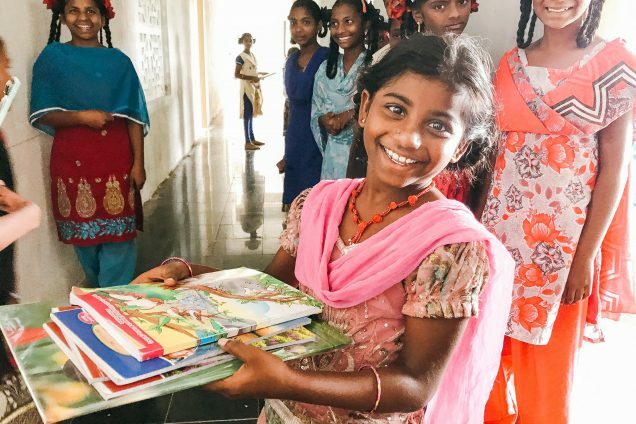 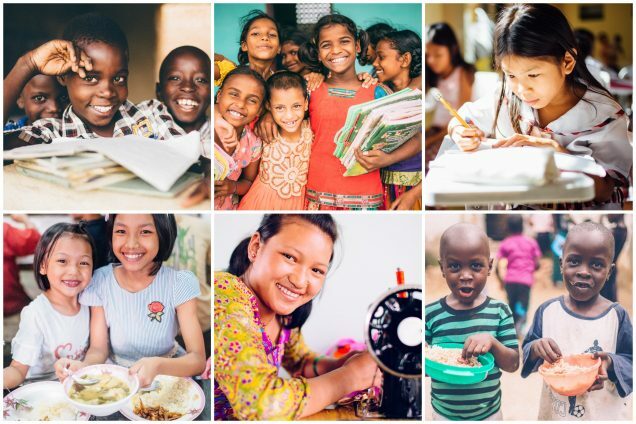 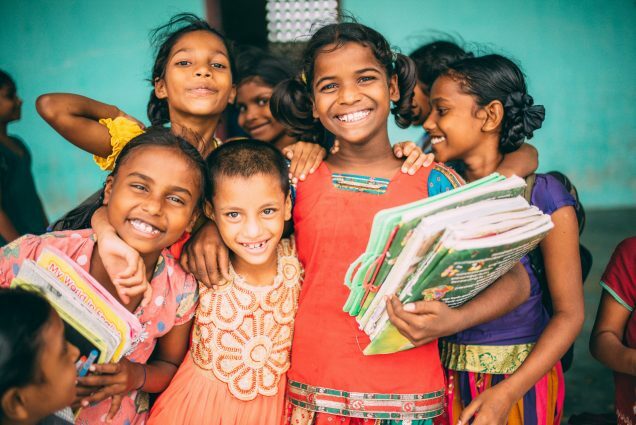 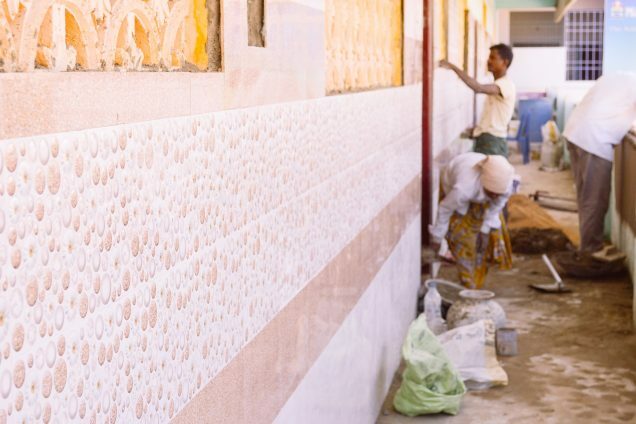 48 children rescued from child labor were enrolled in school this year — they studied their native Telugu and Hindi languages, English, math, science, social studies, and computer education. 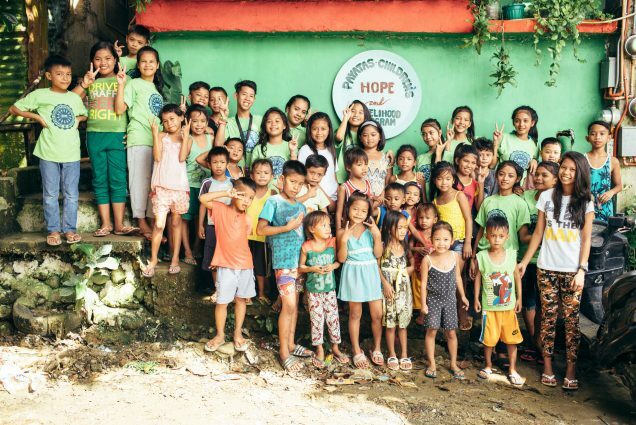 We received new desks and computers at our Hope Center, offering the children more resources as they pursue their education. 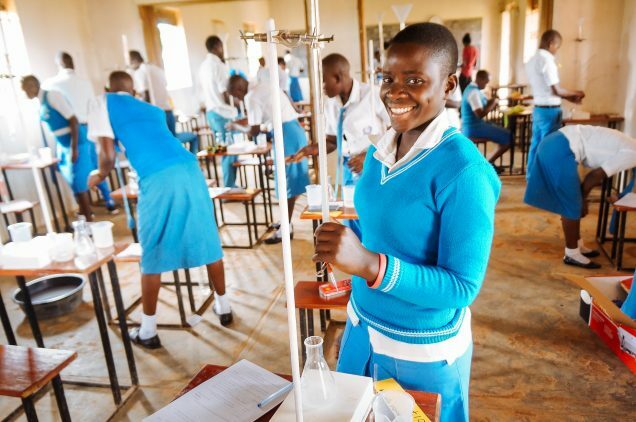 They are taking their final exams right now, and all are on track to be promoted to the next class level next year. 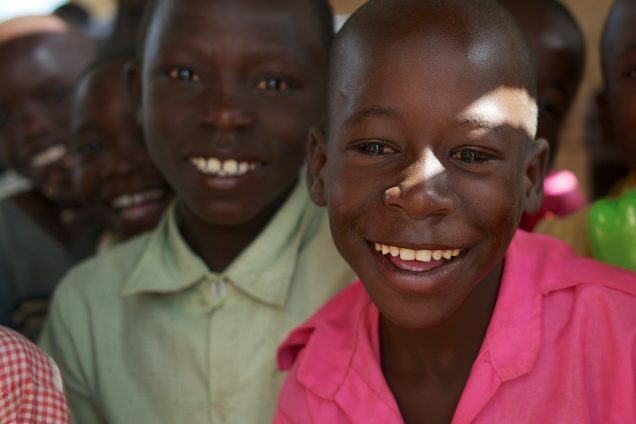 The children really enjoyed the school year, and are looking forward to spending time with their families this summer. 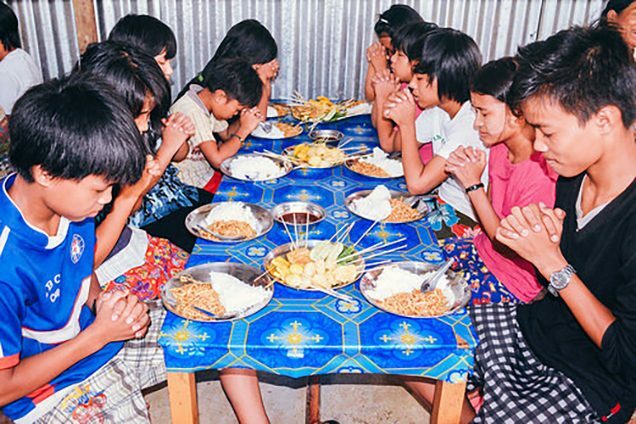 Photo: Bo (pictured at front) is thankful for her new sisters at one of our orphan homes, and the opportunity to attend school. 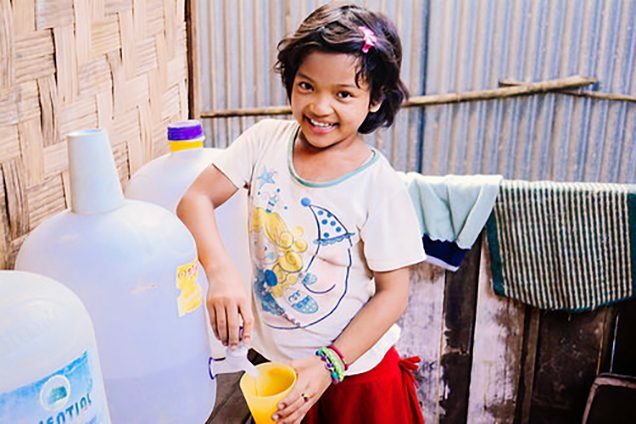 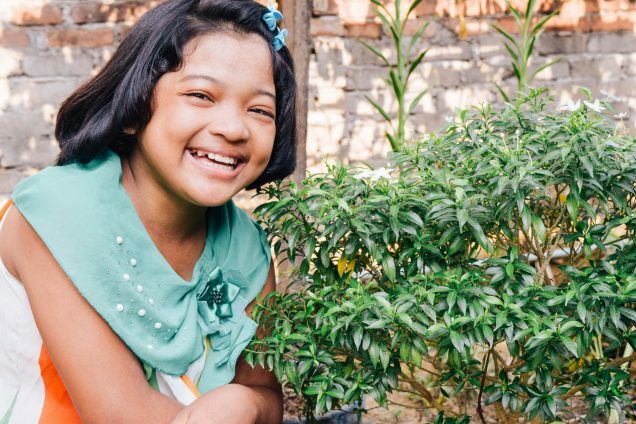 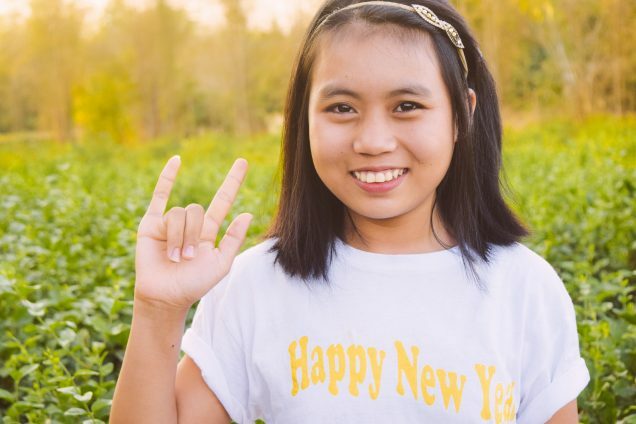 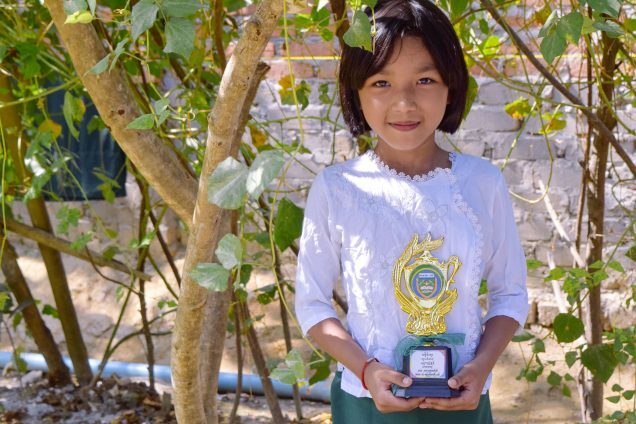 We are very happy to share the powerful story of 9-year-old Bo who lost her father and became an orphan, but now lives a happy life full of redemption and hope at one of our Myanmar orphan homes. 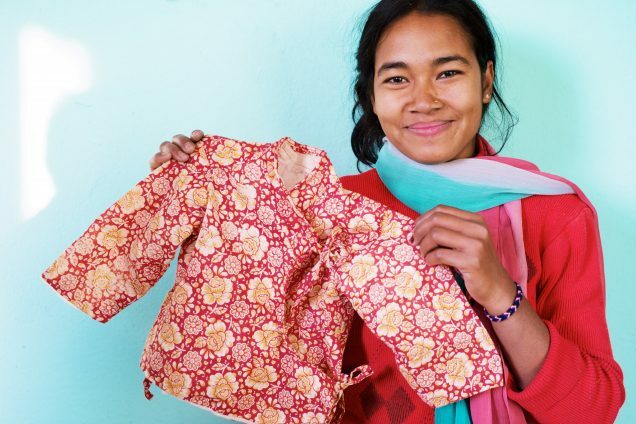 Her father died of a serious illness, and her mother was too poor to buy her clothes or send her to school. 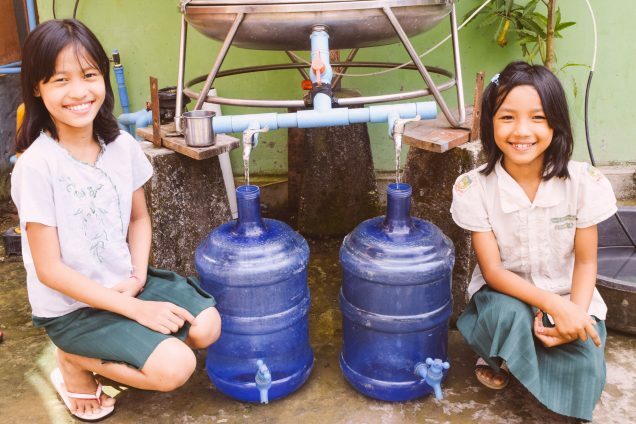 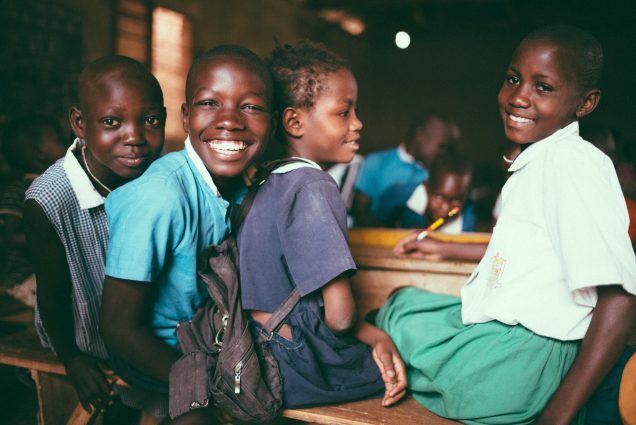 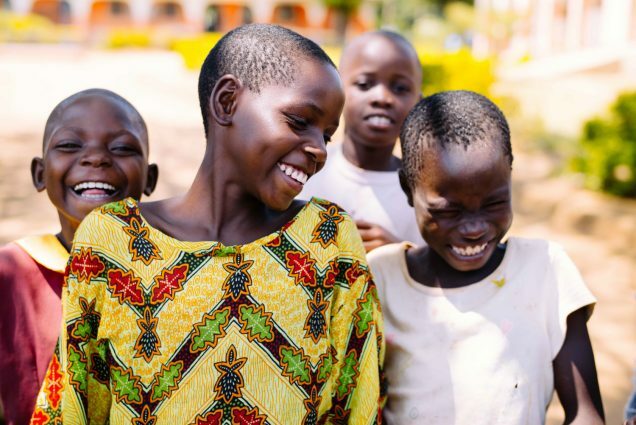 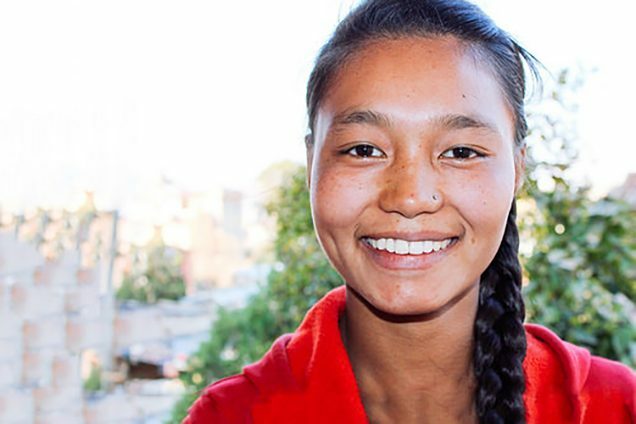 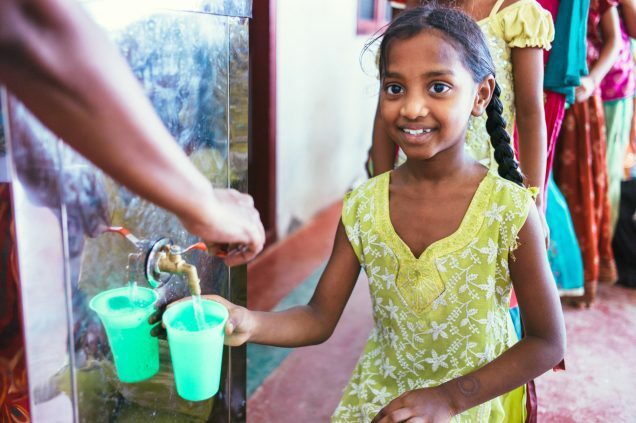 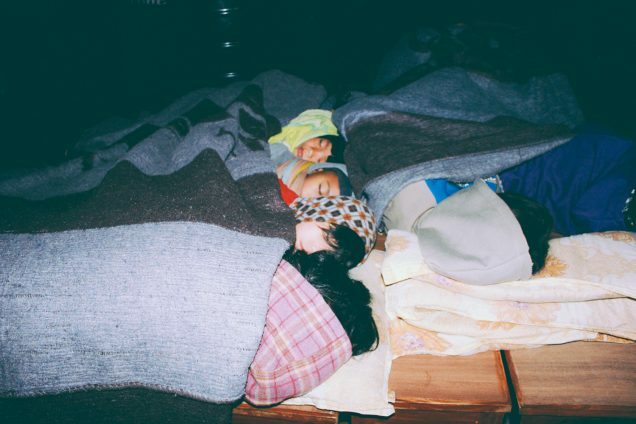 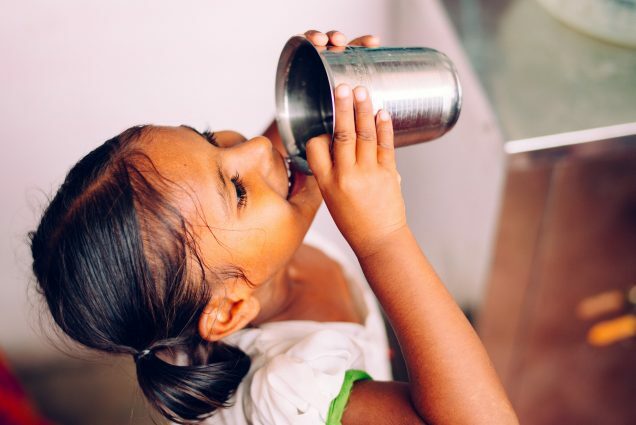 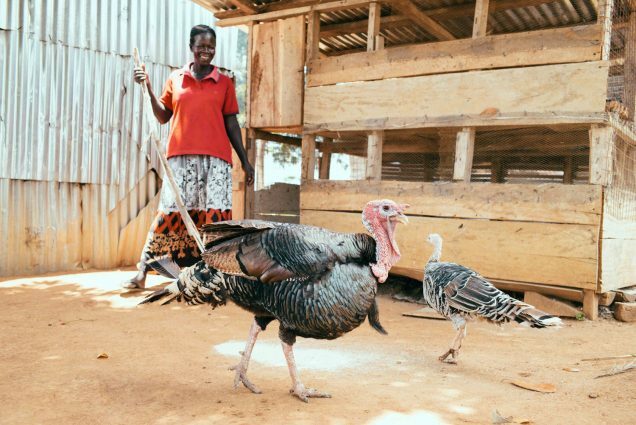 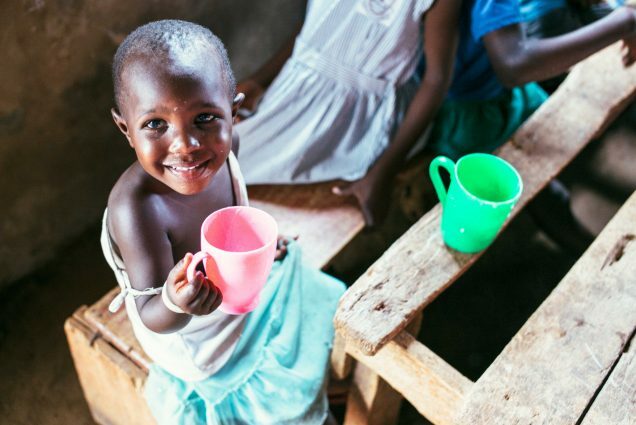 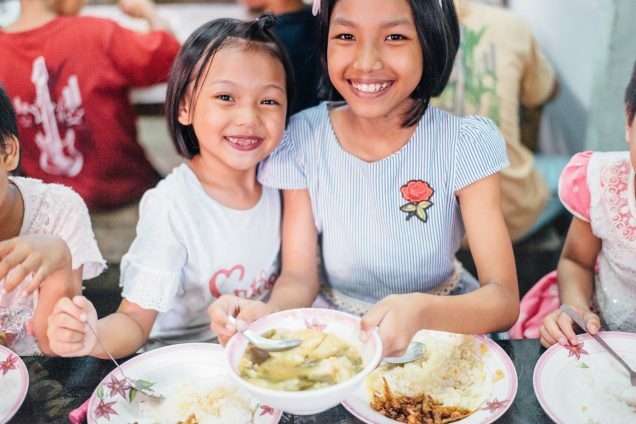 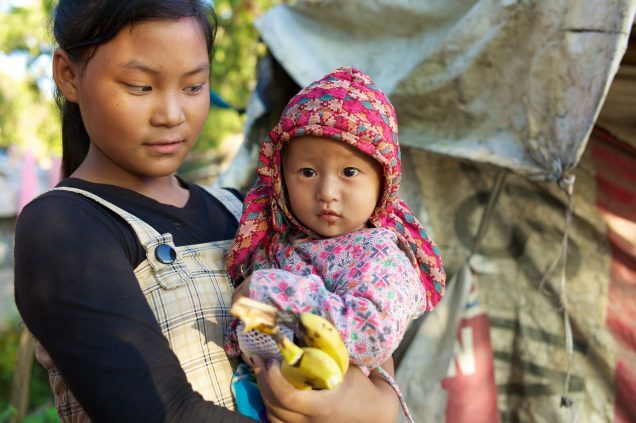 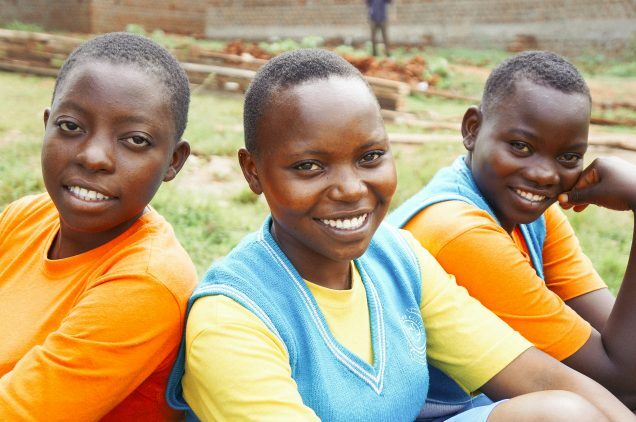 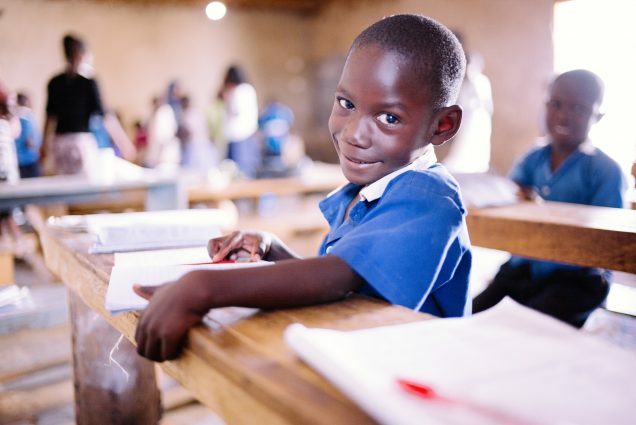 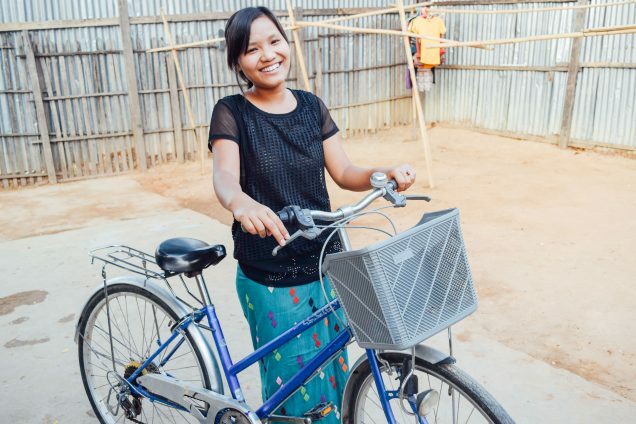 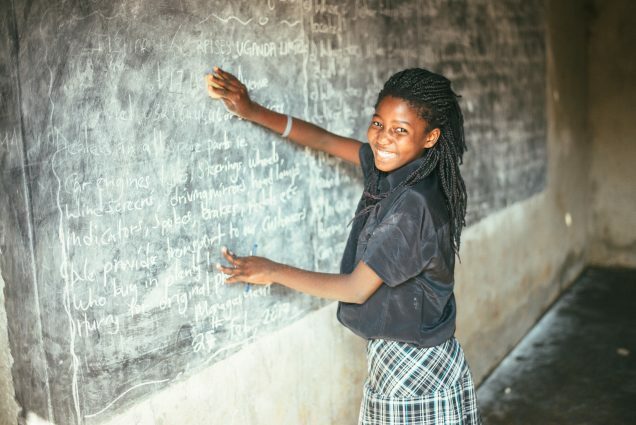 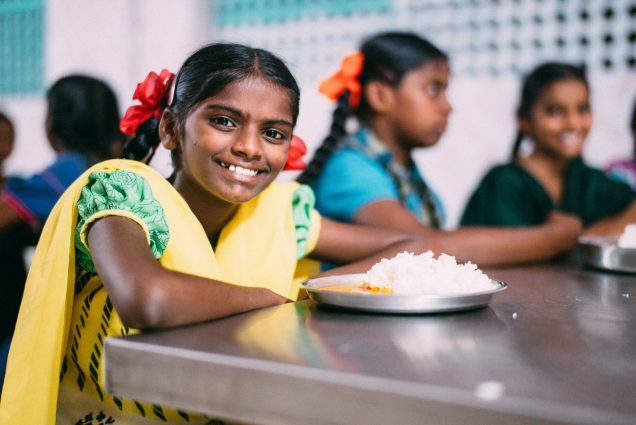 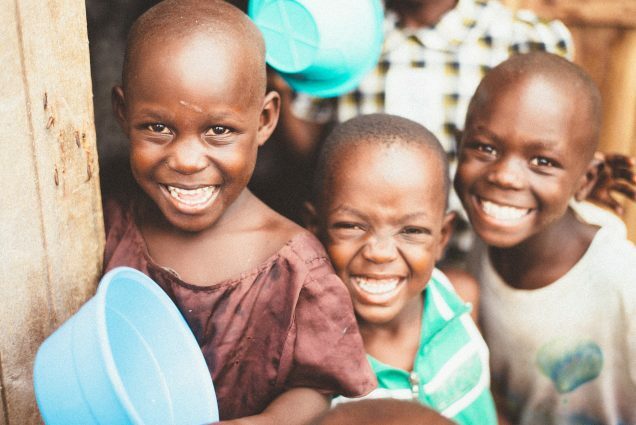 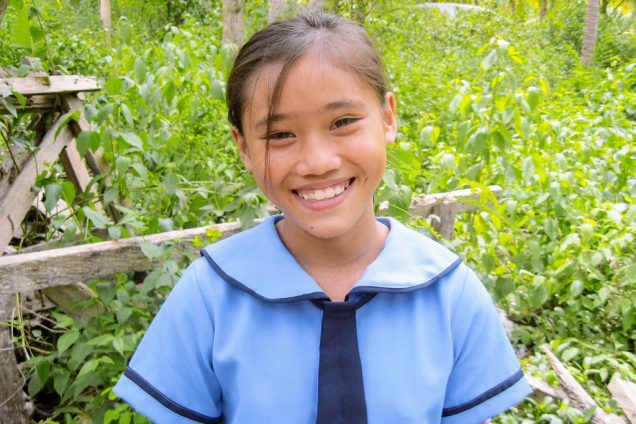 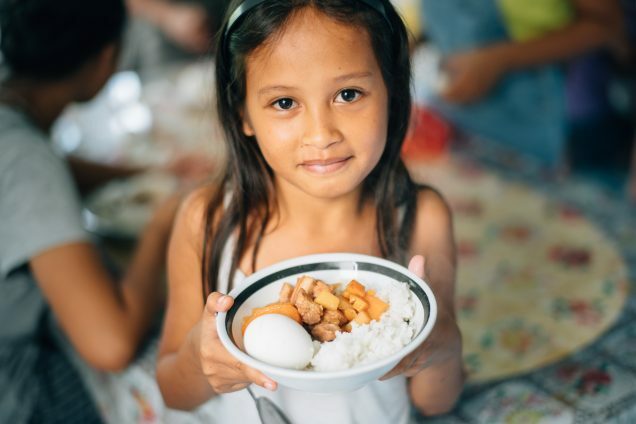 Bo was starving and often cried because she could not attend school with her friends. 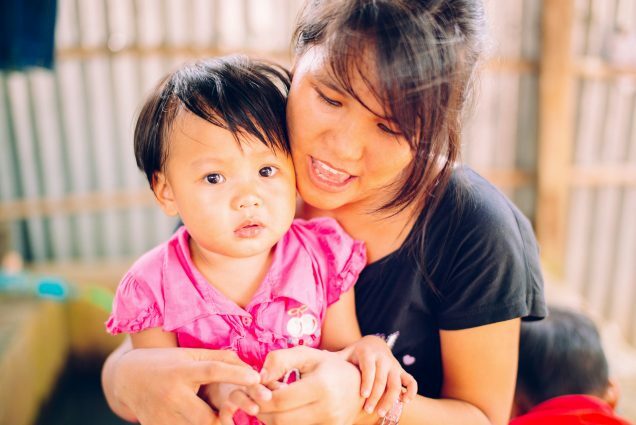 One day her mother met a woman who told her of our orphan home. 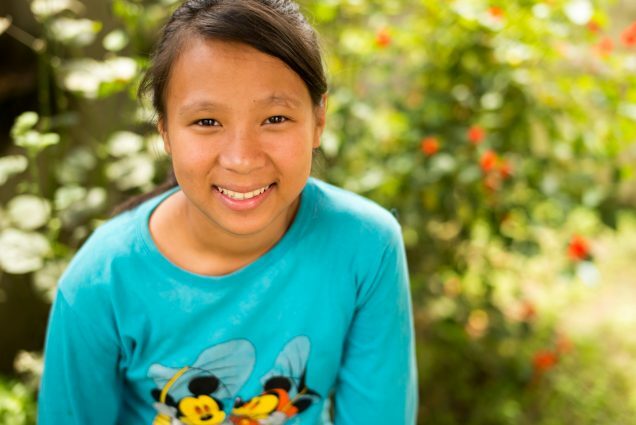 Knowing that she could not properly care for her, she gladly sent her to live with our family. 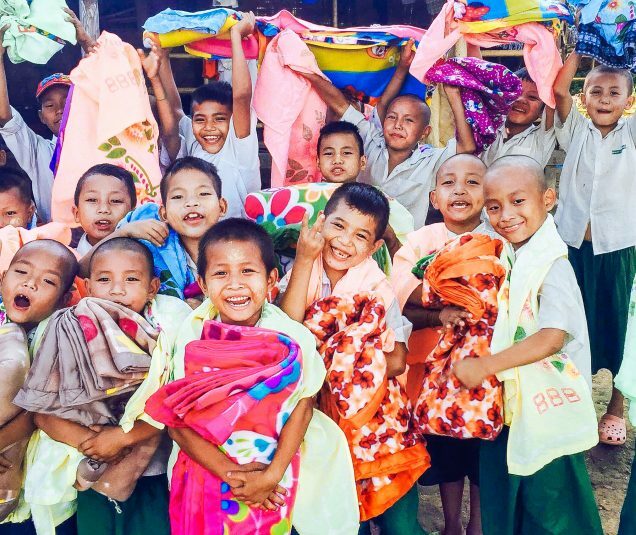 Photo: Children in our primary education program are thankful and happy for new uniforms! 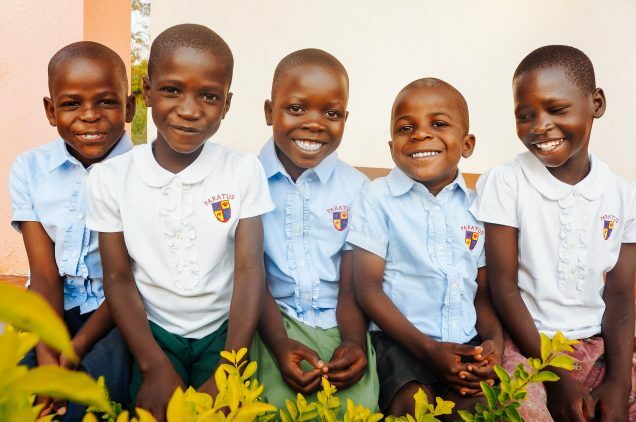 We are excited to report that our students in Uganda, ages 4-13, recently received new school uniforms. 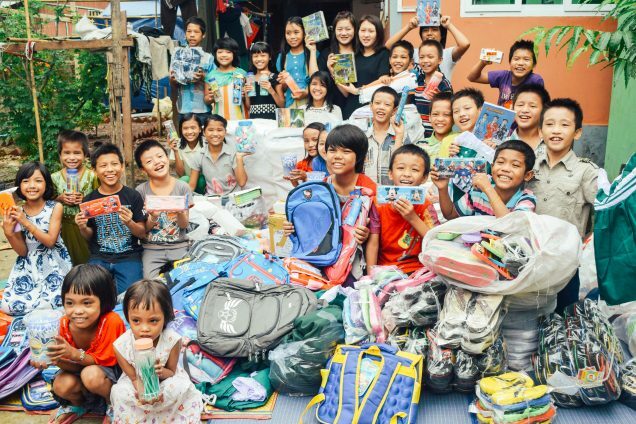 This generous donation was made possible by Paratus Classical Academy in Houston, TX. 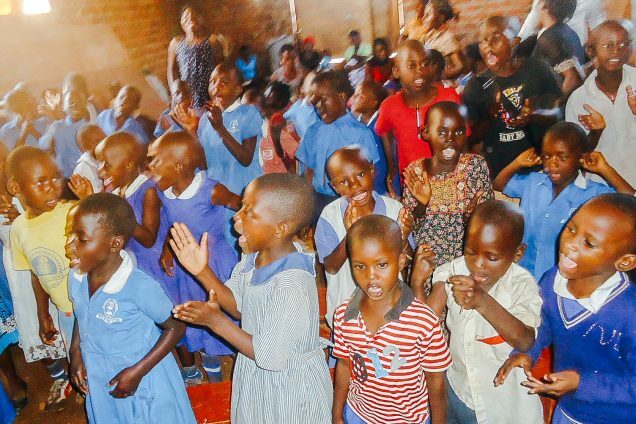 The children and parents of Paratus wanted the delivery of the uniforms to coincide with Christmas cards made by the students as well as money they raised for a small Christmas party for the children in Uganda. 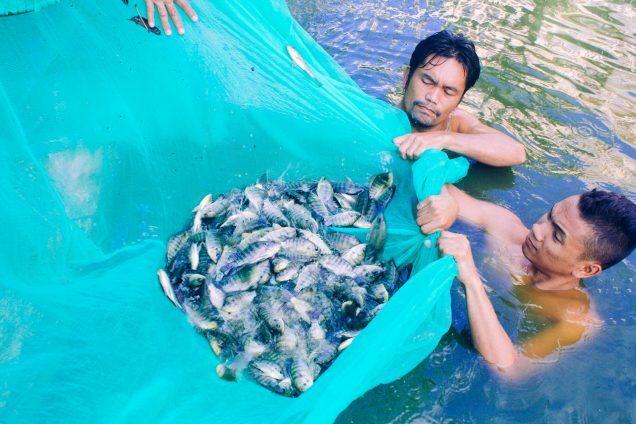 Photo: After several hours of netting and dividing, harvest yielded over 2,700 mature fish. 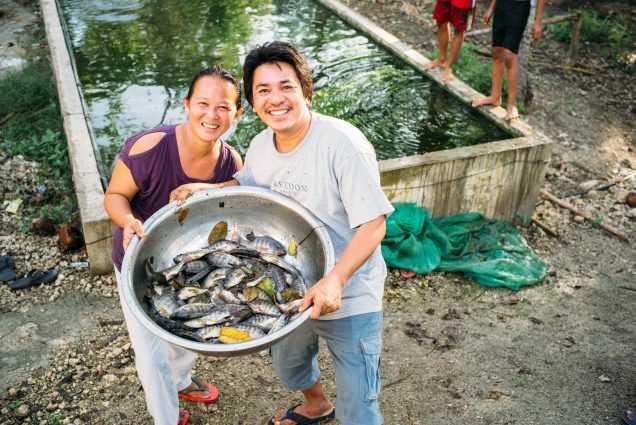 We are thankful to report that over 2,700 mature fish were harvested at our Philippines fishery weighing in at about 1,000 pounds. 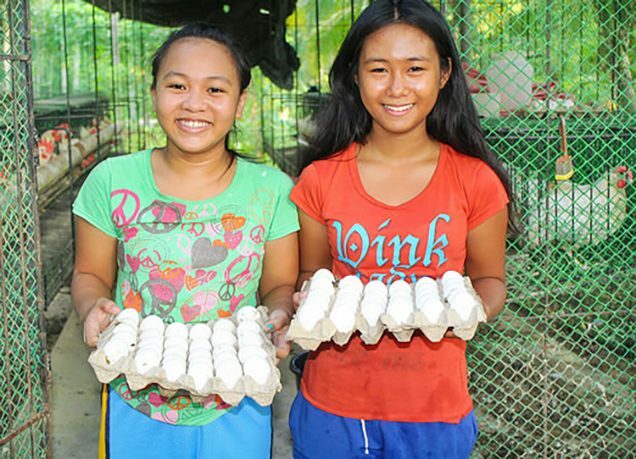 This yielded a significant profit as fish are in high demand in the market. 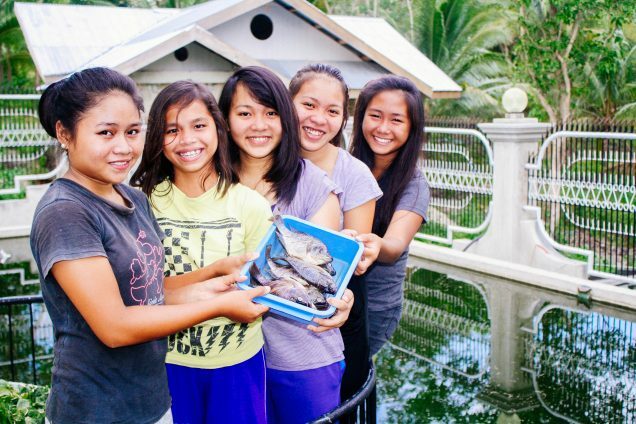 We expect harvest rates to increase since these fish were in the breeding stage. 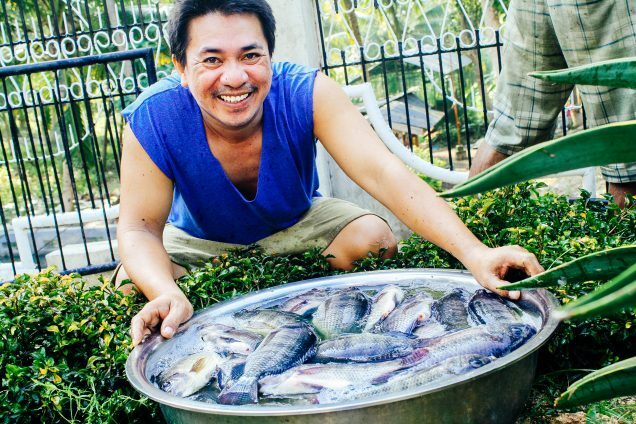 We have both fingerlings and medium-sized fish in the pond that were separated and then returned to the pond during harvest. 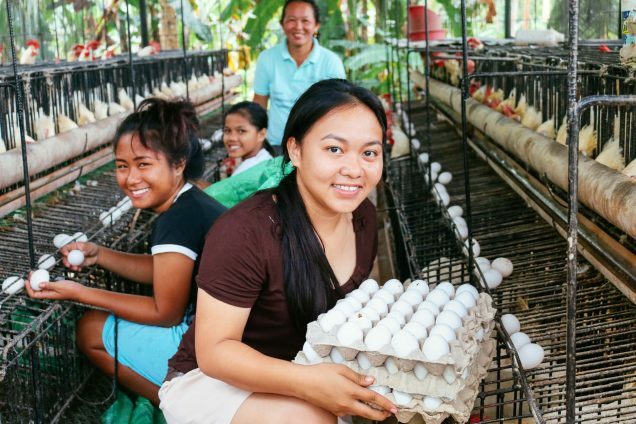 Thus another harvest of the medium-sized fish is expected in about 3 months, and then another harvest of the fingerlings in 6 months time — this productive cycle will continue from this point forward. 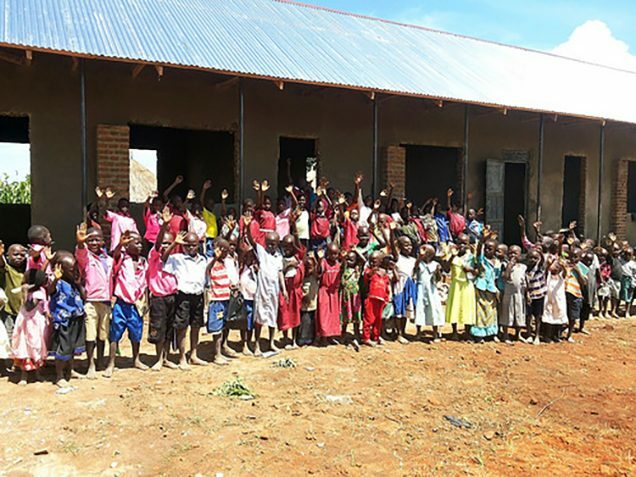 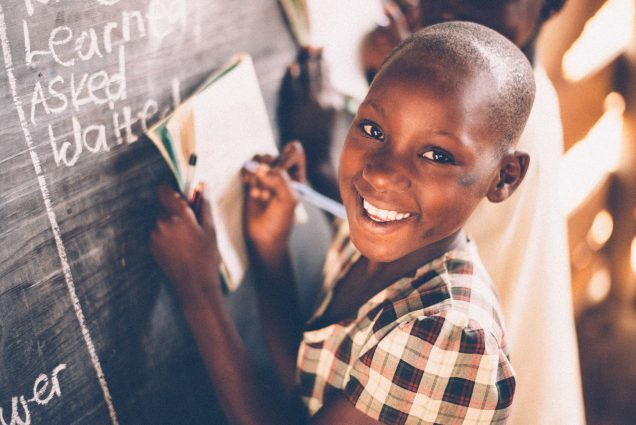 Photo: Our primary school students are thankful for a new building which makes learning much more enjoyable: concrete floors, a sturdy roof, and permanent chalkboards are big improvements from their previous makeshift facility. 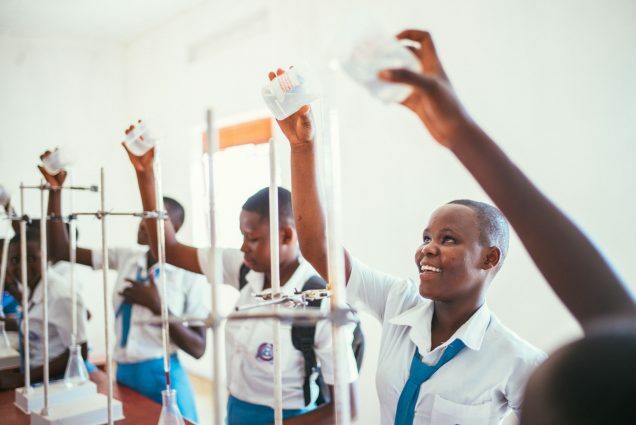 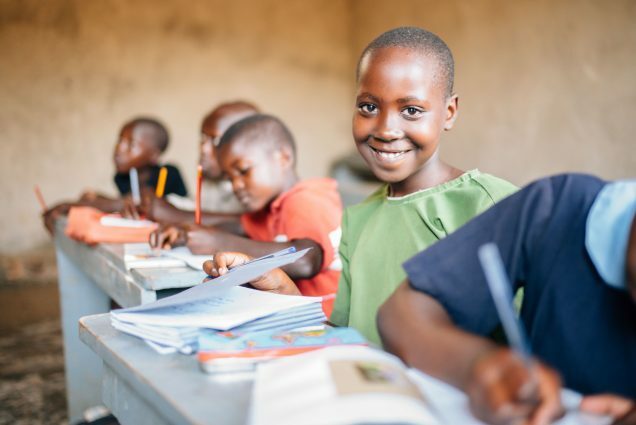 We are happy to report that the new Ugandan school semester for both our primary and high school students started on September 8. 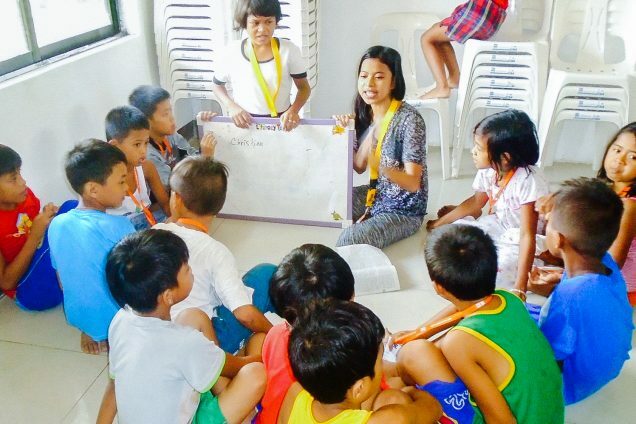 After a month-long break, our teachers and students were eager to return to the empowering pursuit of education. 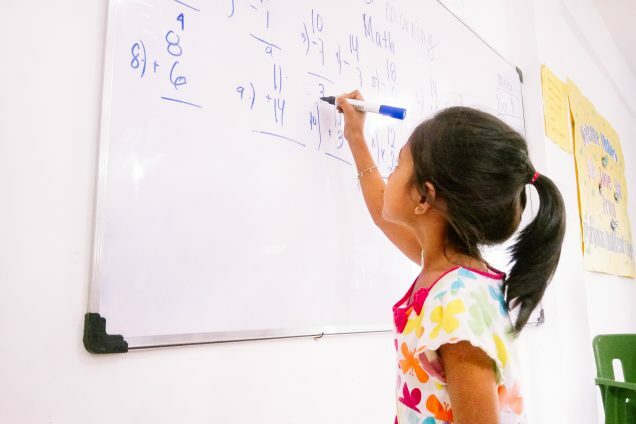 Our primary school students (ages 5-11) are learning math, English, science, social studies, reading, writing, and the art of handcraft. 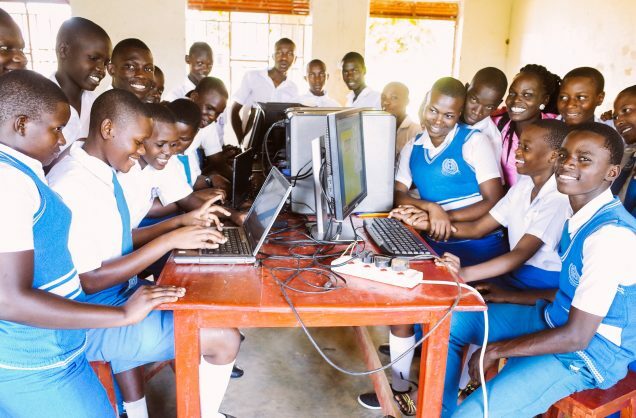 Our high school students (ages 12-18) are learning English, math, geography, history, agriculture, physics, chemistry, fine art, biology, politics, commerce, and entrepreneurship. 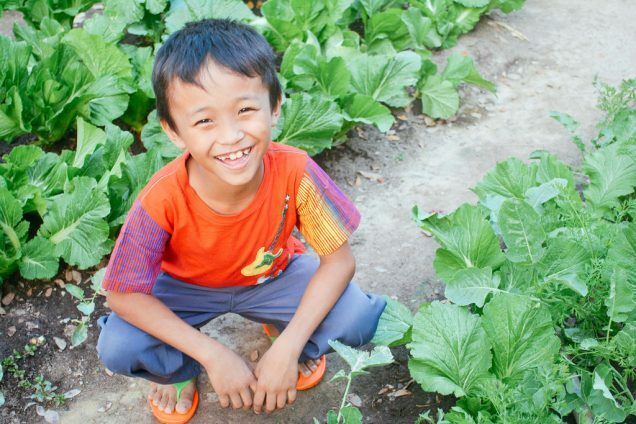 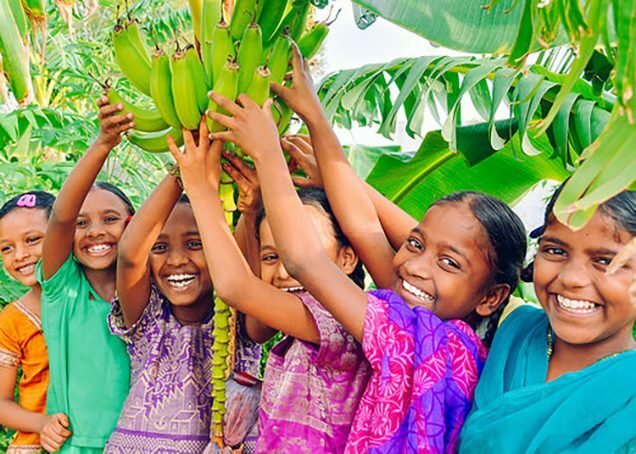 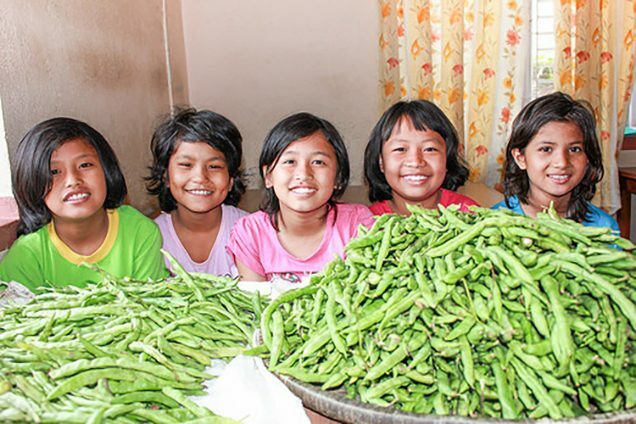 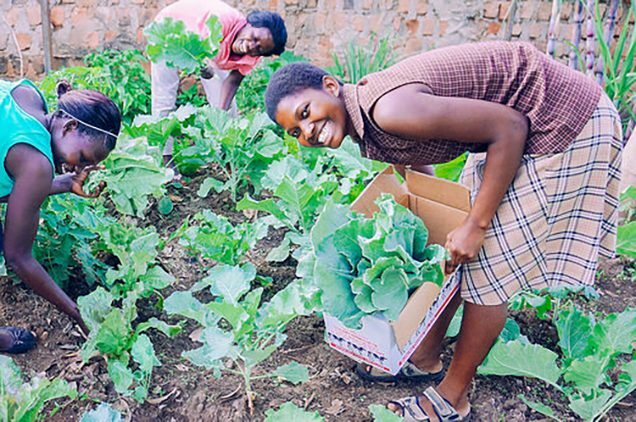 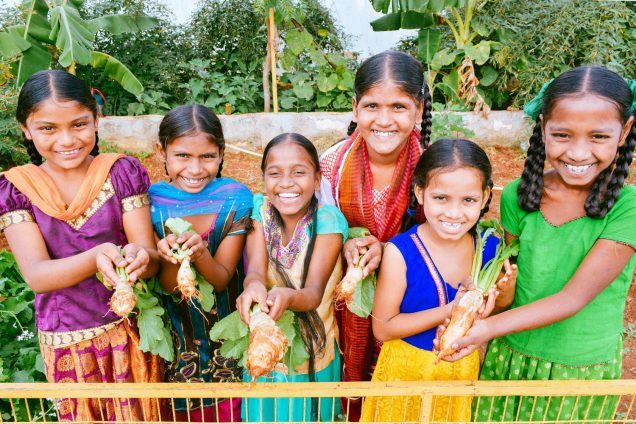 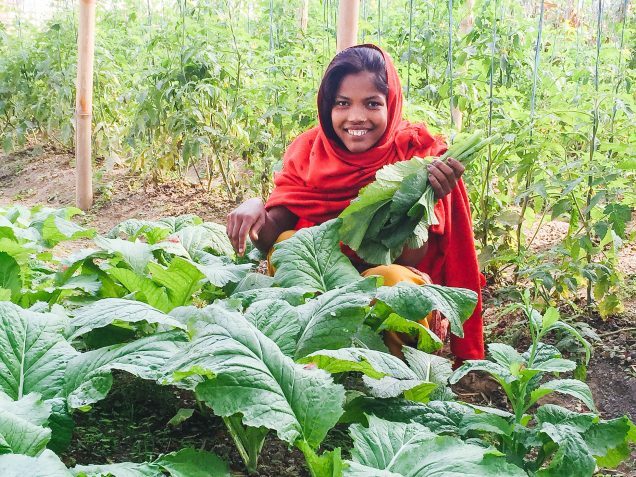 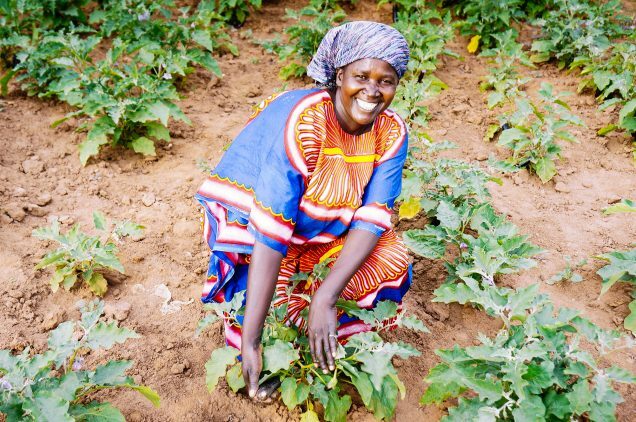 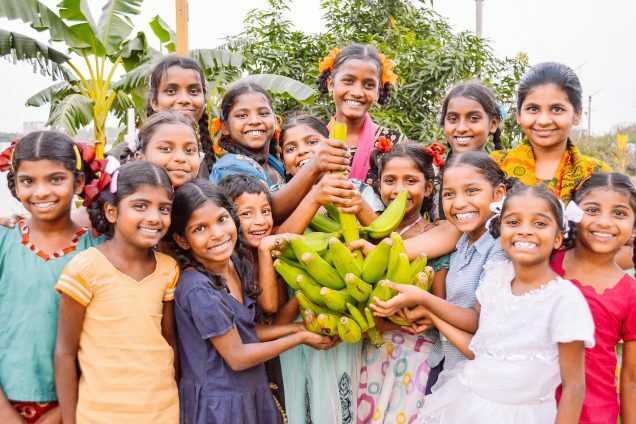 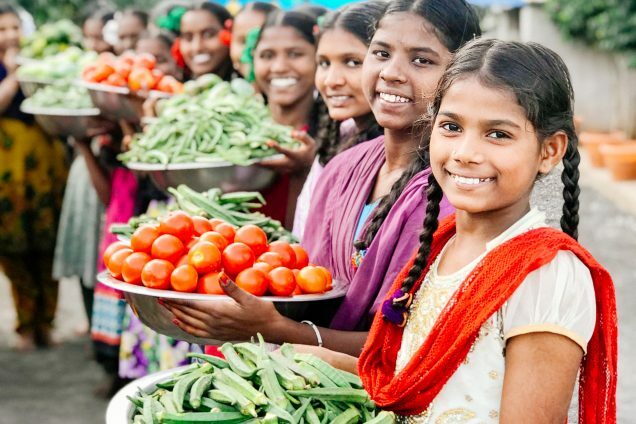 Photo: Orphan girls rescued from extreme poverty are happy with a bountiful crop of organic vegetables! 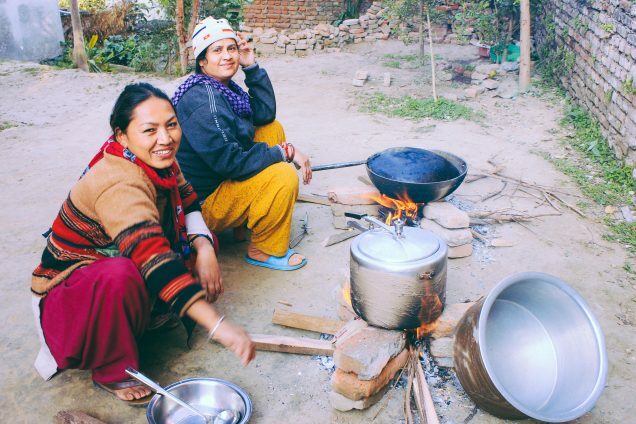 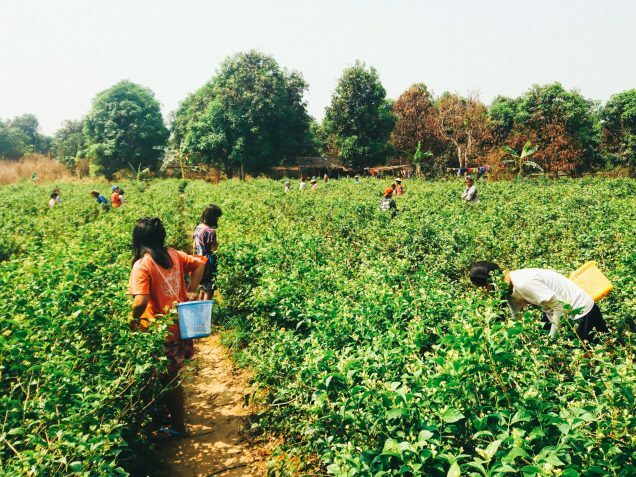 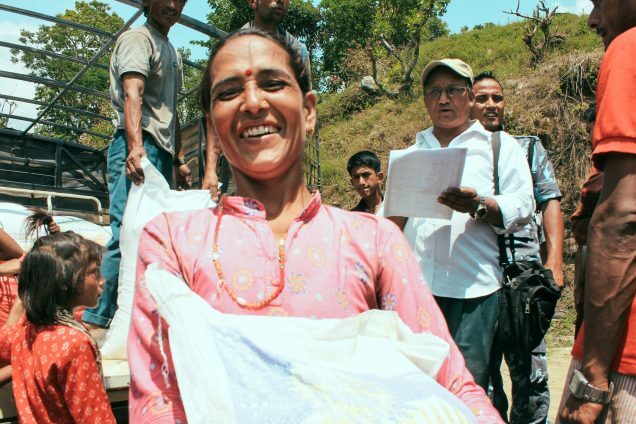 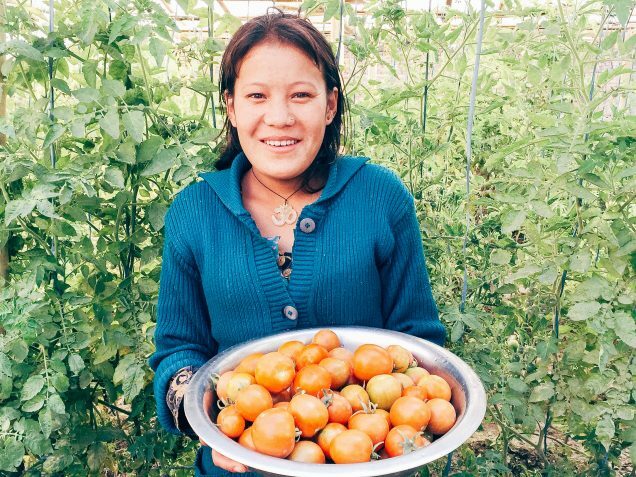 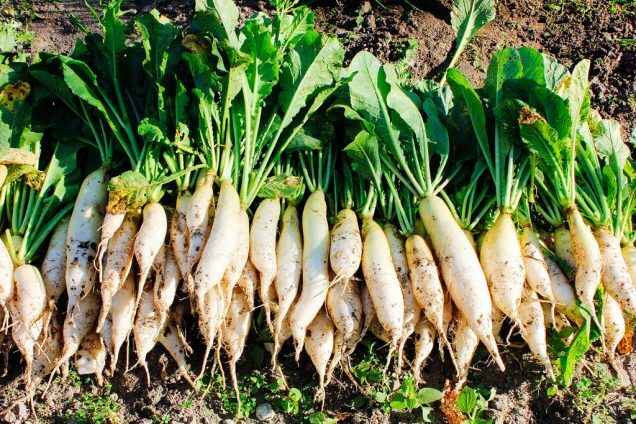 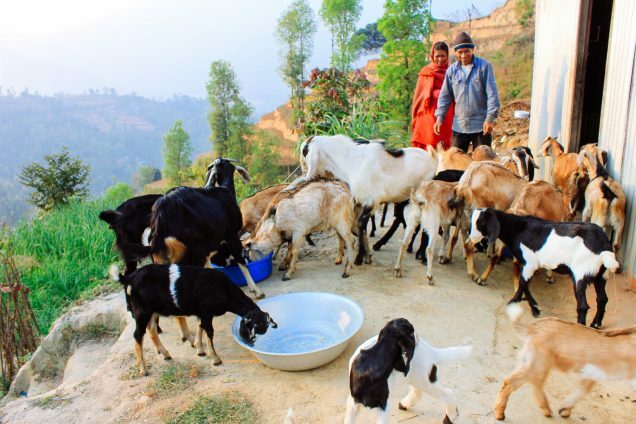 We are happy to report that our native-led farmland in Nepal yielded an abundant harvest of vegetables two weeks ago. 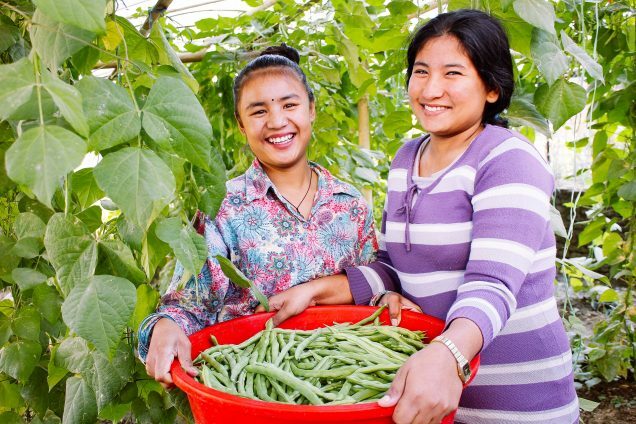 The harvest produced 22 pounds of eggplant, 17 pounds of green beans, and 15 pounds of tomatoes. 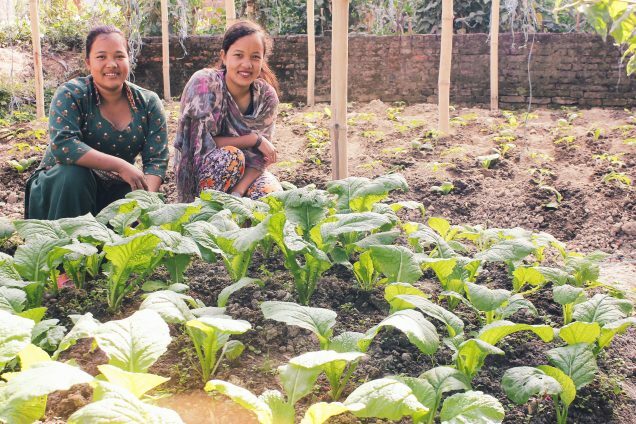 Our native farmers also harvested pumpkins, which are a special treat as pumpkin leaves are considered a delicacy in Nepal. 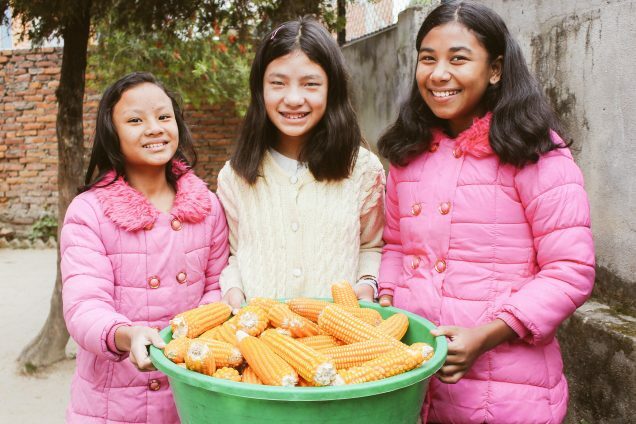 Our farmers are also growing corn right now — they expect 1,320 pounds of corn at the time of its harvest. 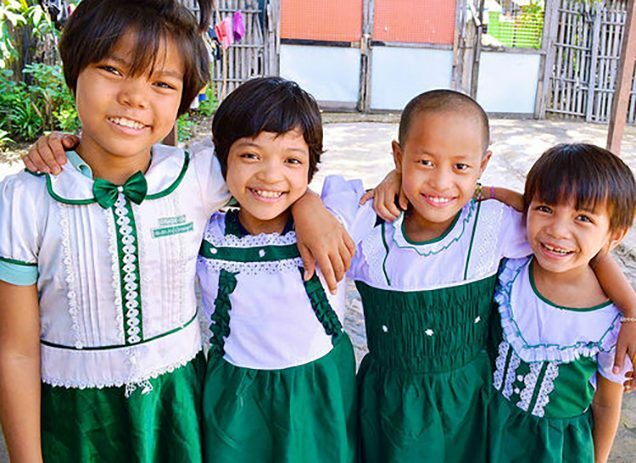 Photo: Girls at one of our orphan homes are excited to start the school year with new uniforms, purchased with profits from our native-led rice farm and piggery projects. 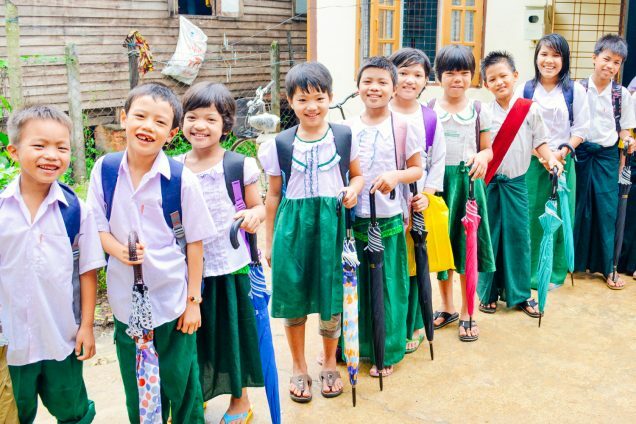 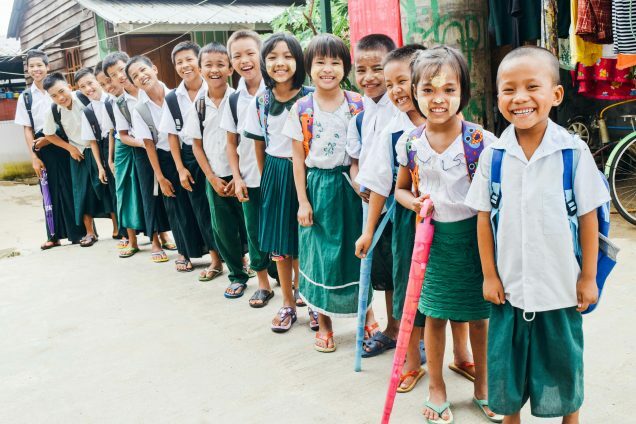 We are happy to report that around 100 children from our orphan homes in Myanmar went back to school this month, which is an increase in enrollment from last year. 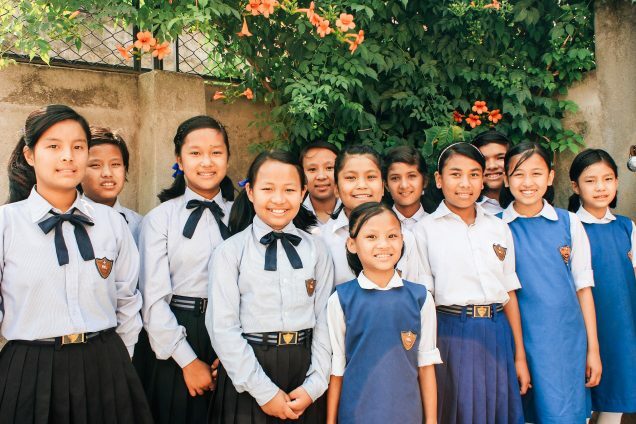 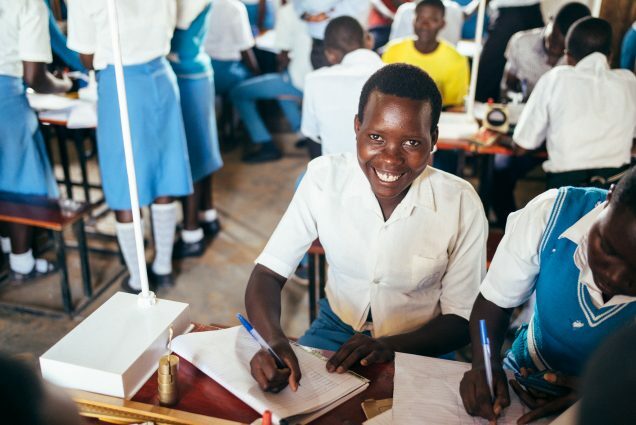 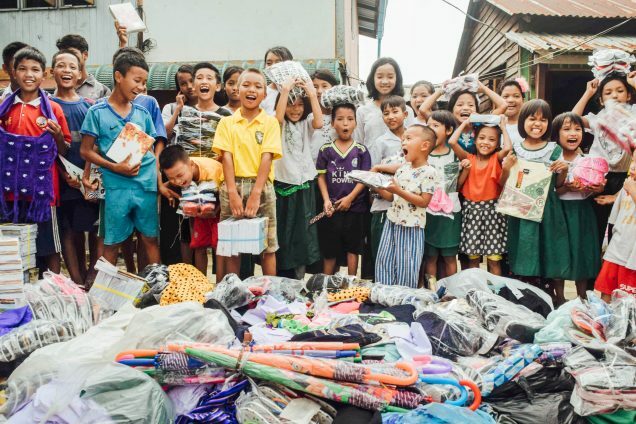 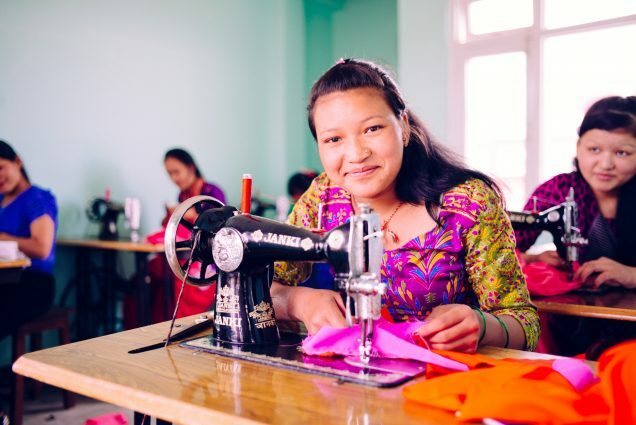 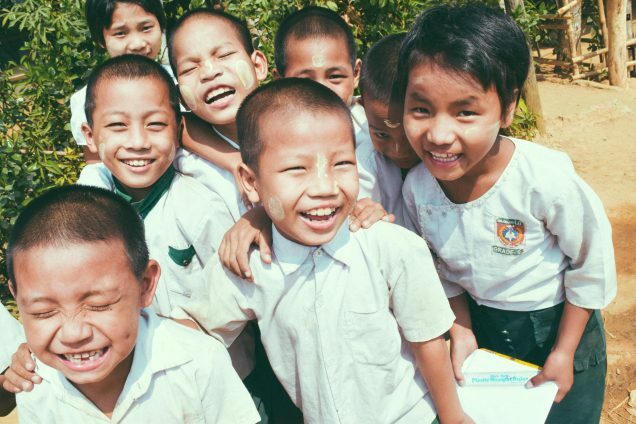 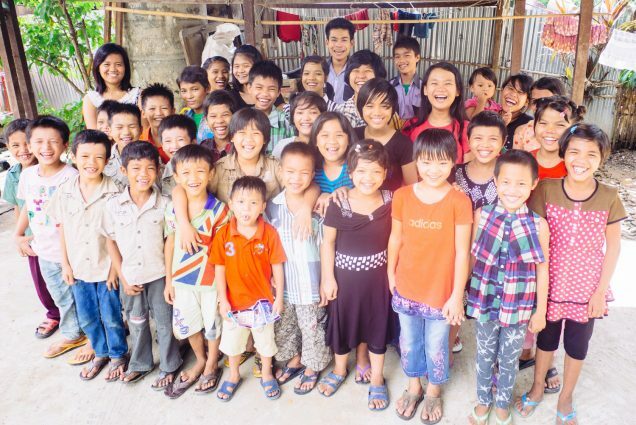 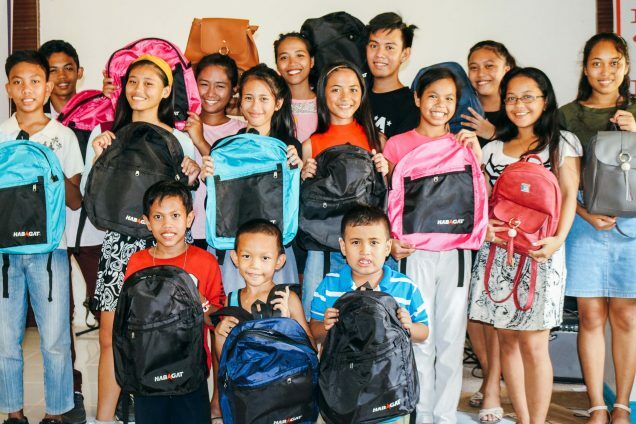 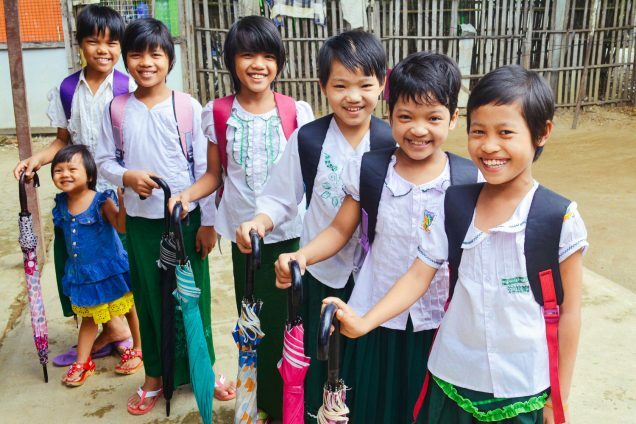 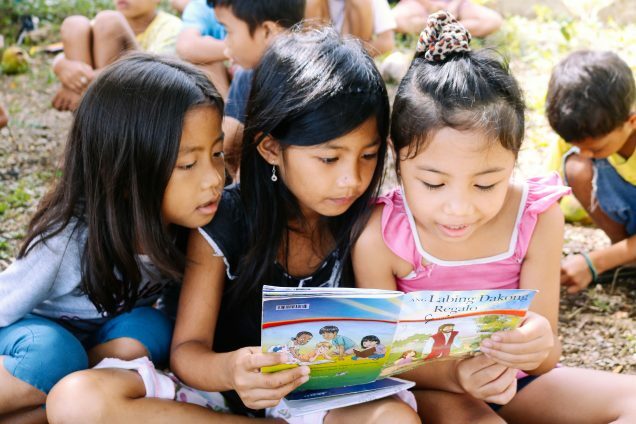 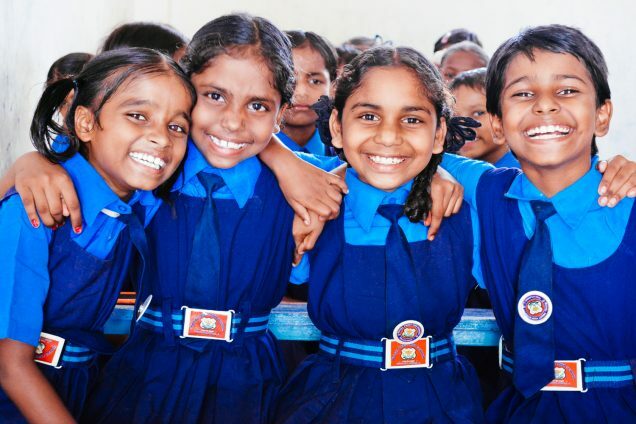 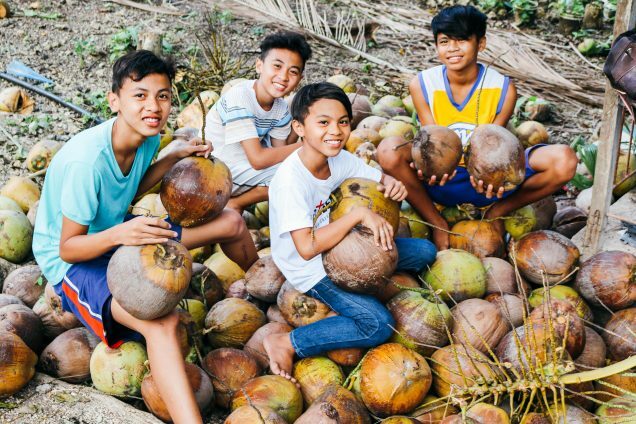 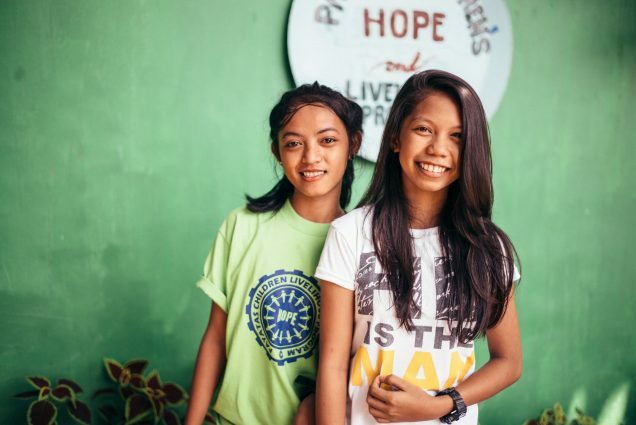 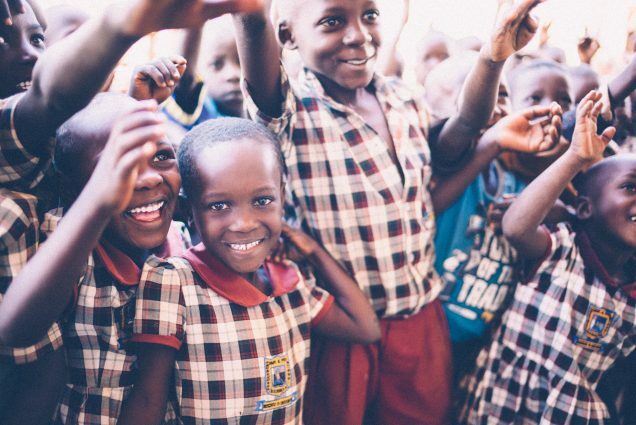 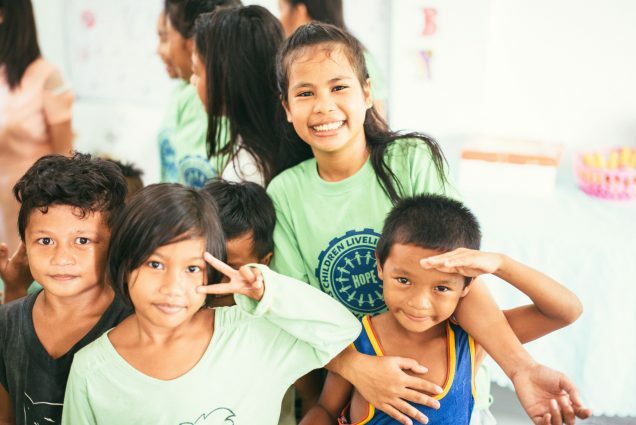 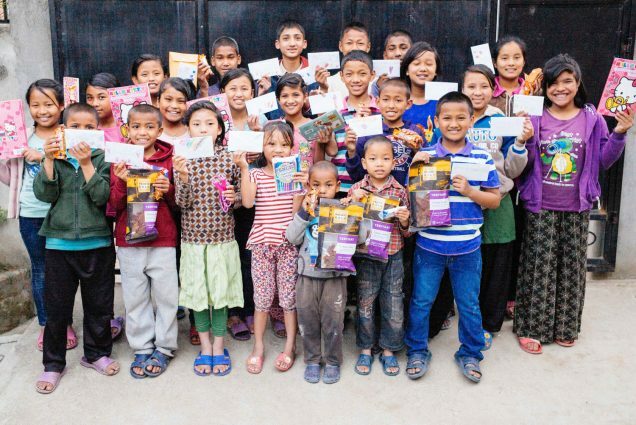 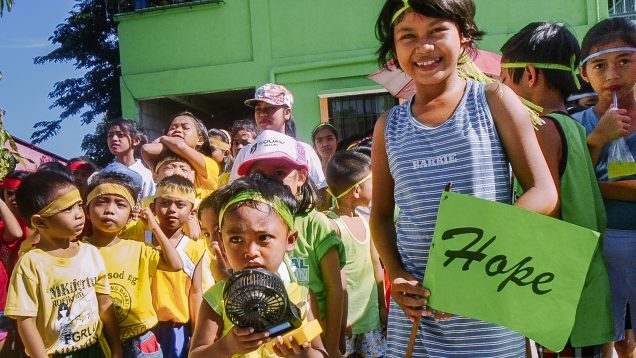 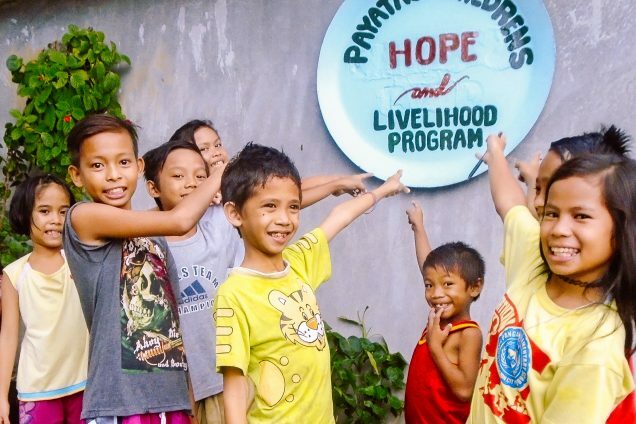 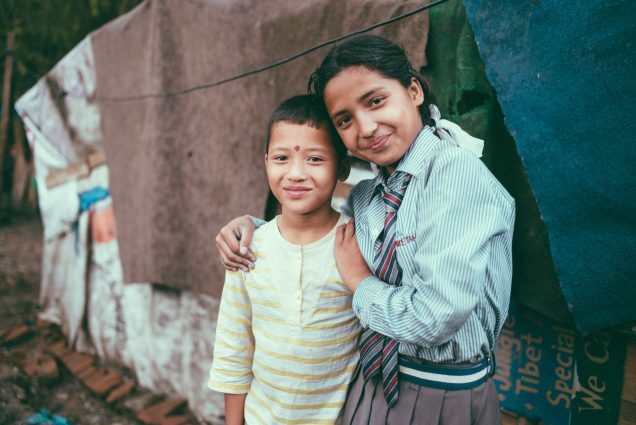 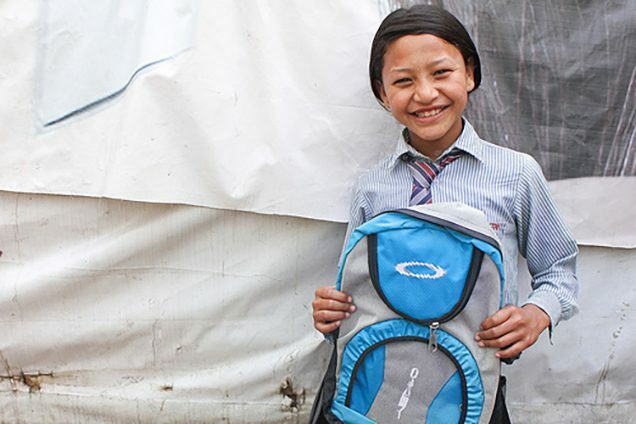 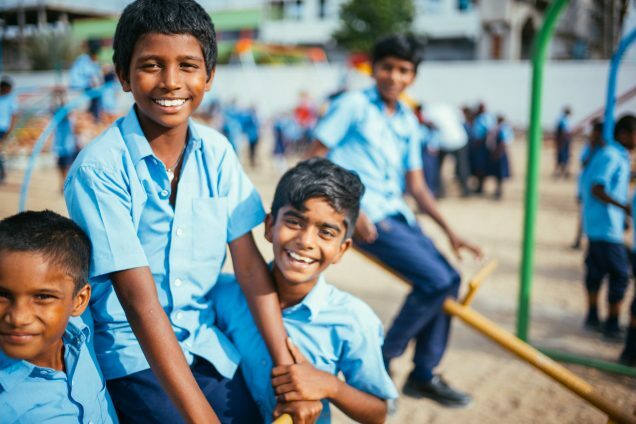 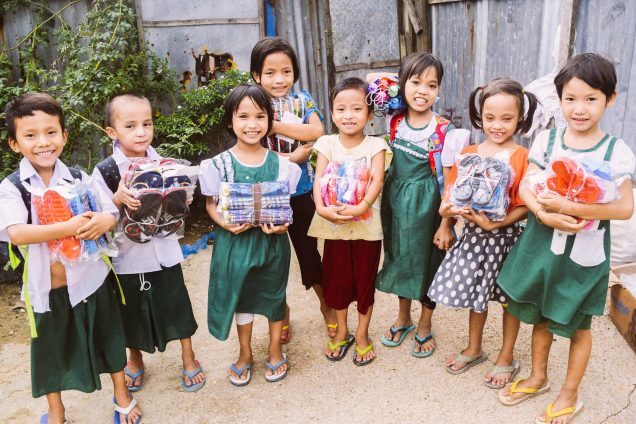 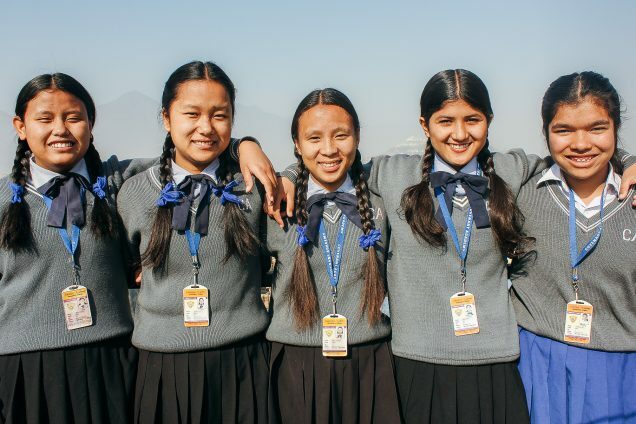 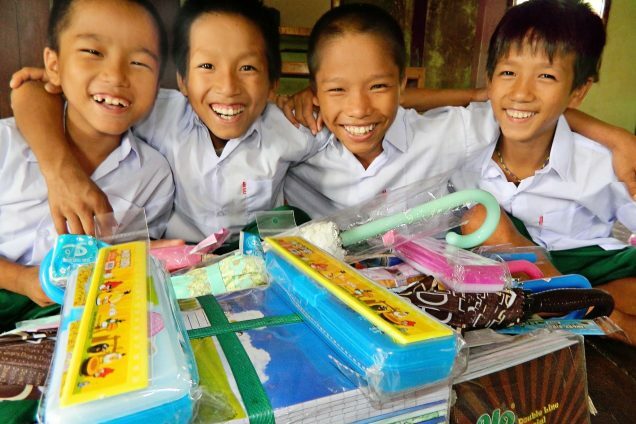 They were happy to receive backpacks, new uniforms, writing books and pens, shoes, and umbrellas — much-needed items for school that they would not have otherwise, as they come from backgrounds that would never have afforded them such opportunities. 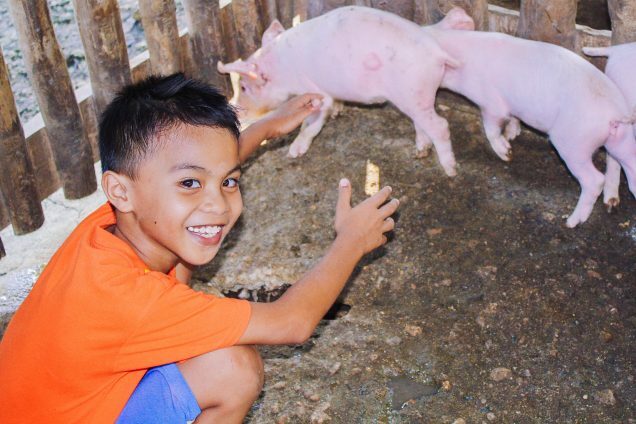 Their education is made possible by profits from our 12-acre farmland and piggery project along with donations made by our orphan sponsors. 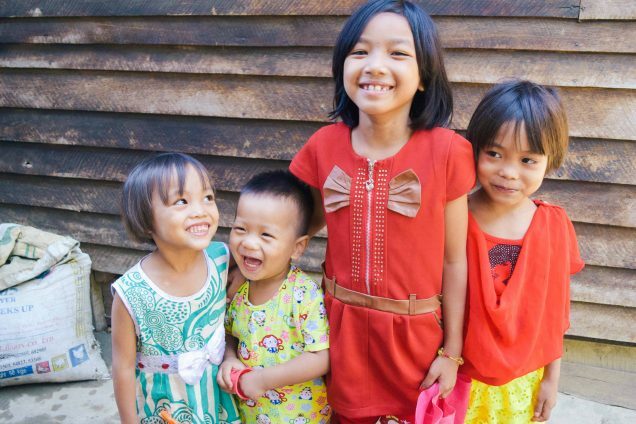 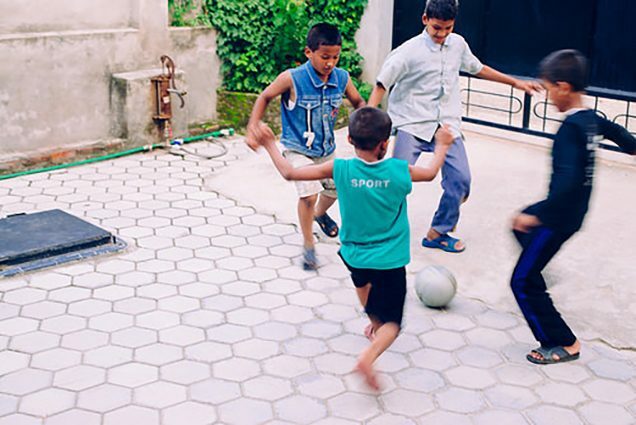 Photo: Girls at our orphan home find joy in the loving environment that’s given them a new hope. 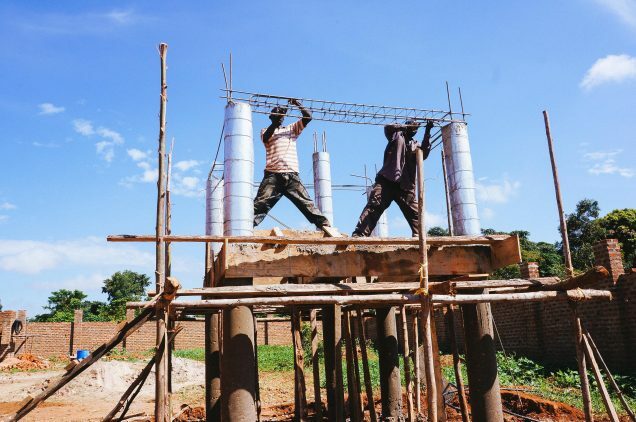 Recent developments at our Uganda orphanage home have left our faithful native directors in a bind. 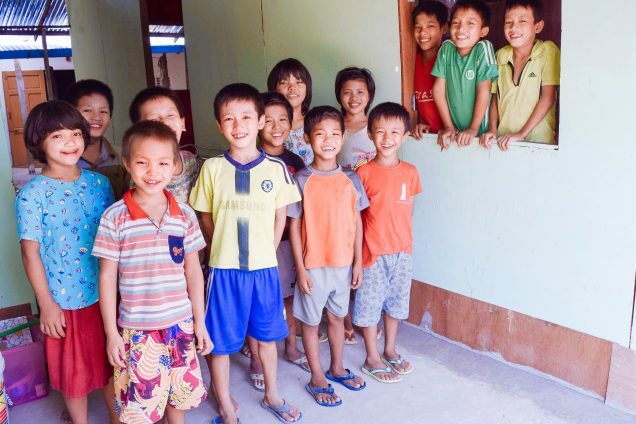 They’ve adopted several children as their own, providing what little space they have in their tiny rental home. 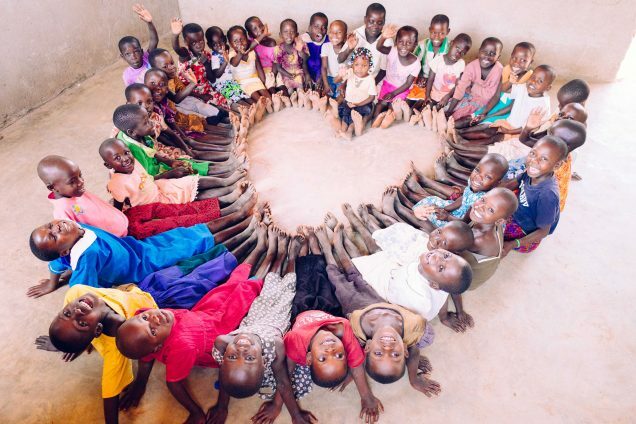 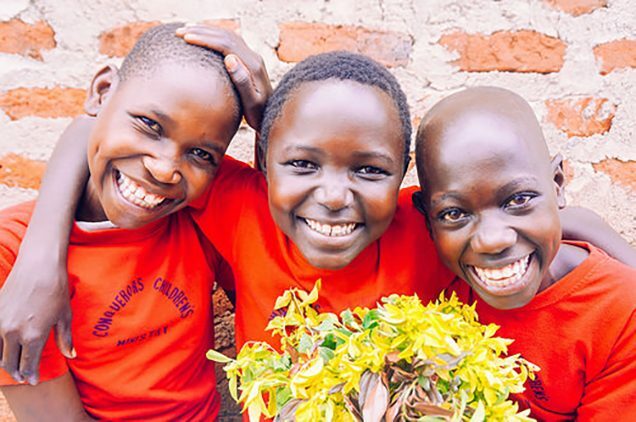 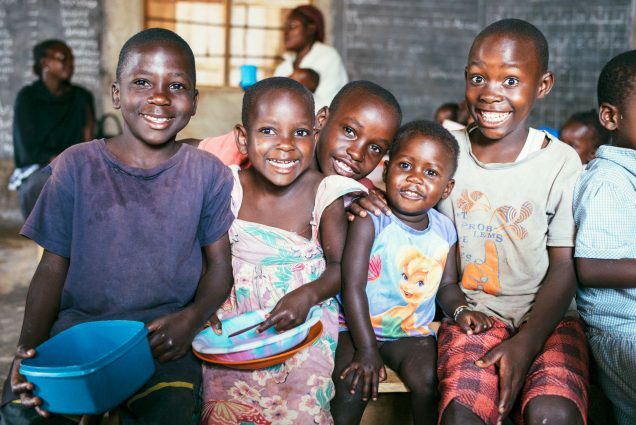 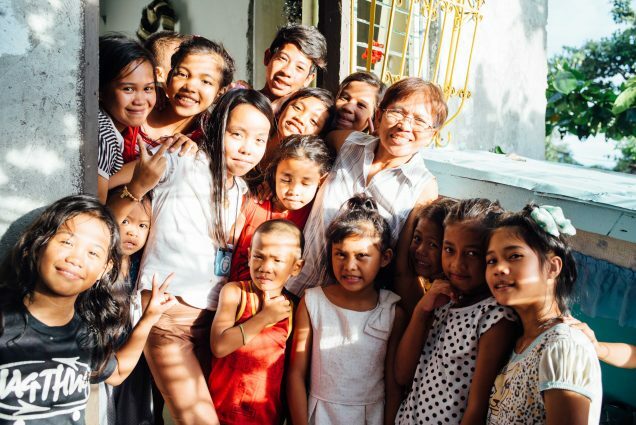 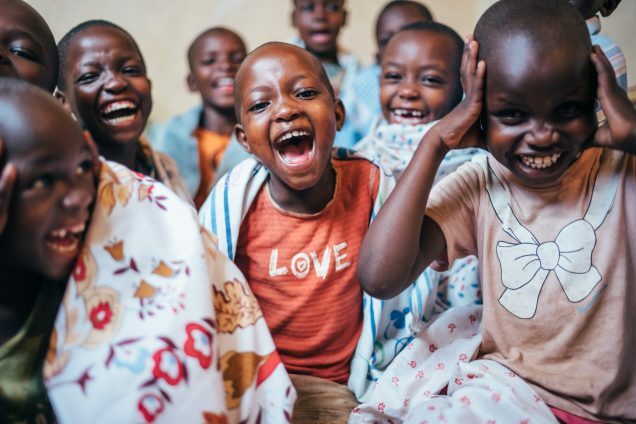 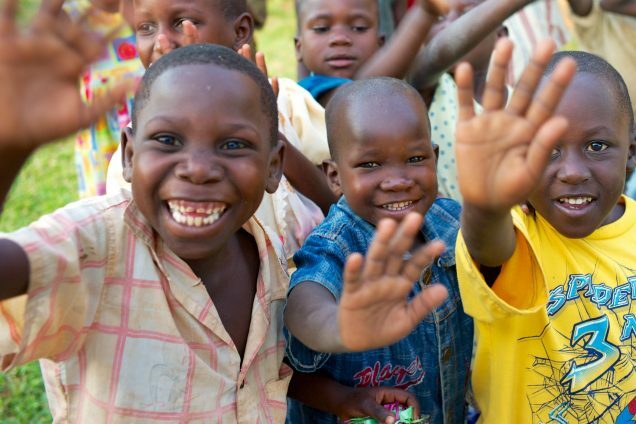 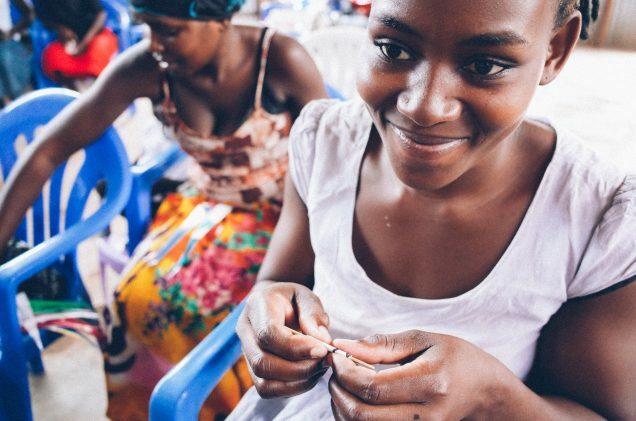 These children all have their own amazing stories of survival in the midst of the AIDS crisis, most of their parents falling victim to the disease and left without much hope for survival. 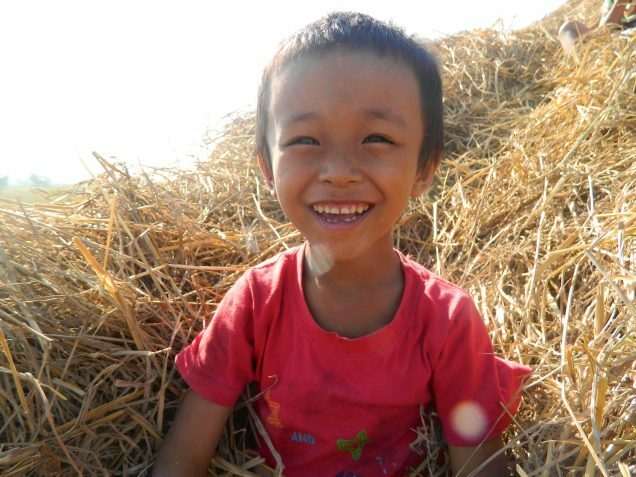 Photo: One of the orphans plays in the rice straw from our recent harvest. 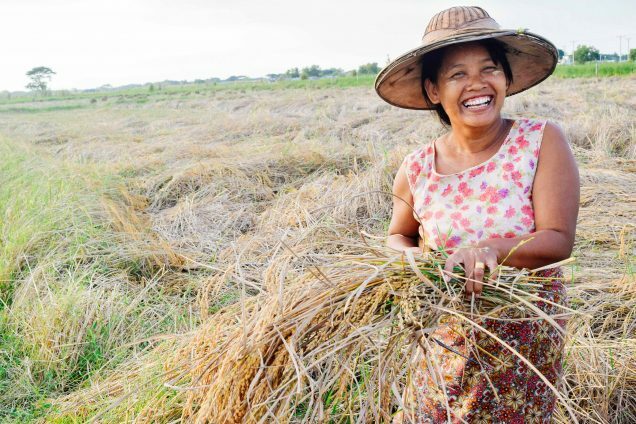 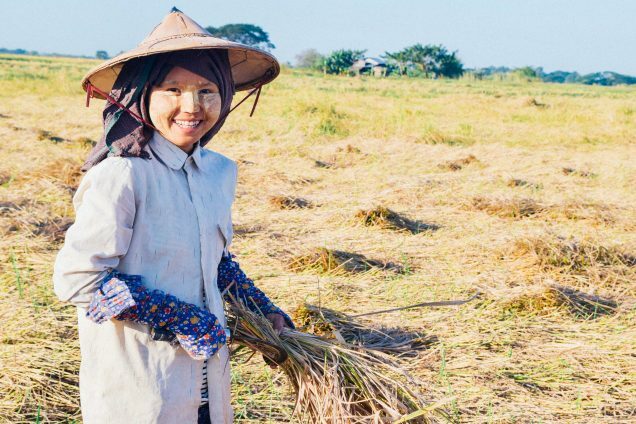 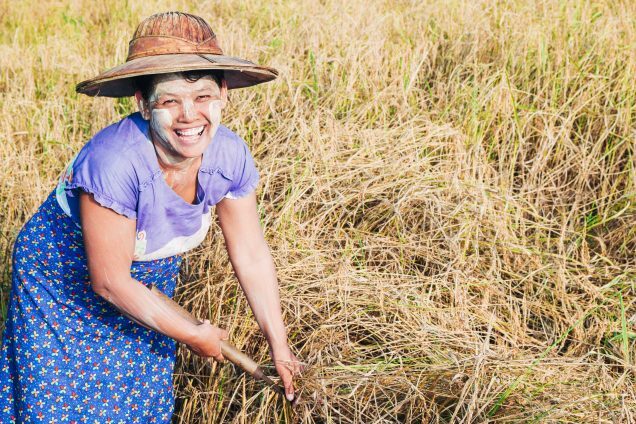 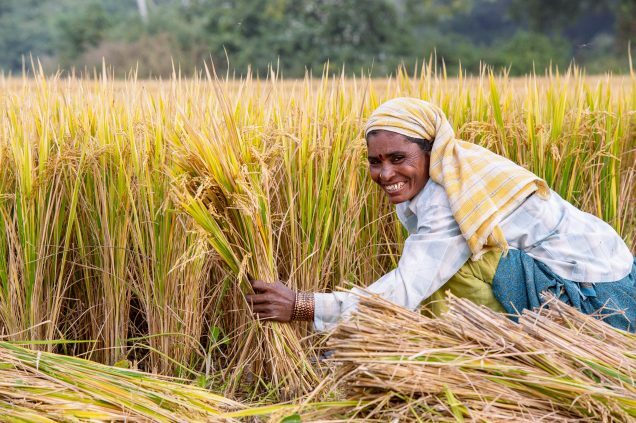 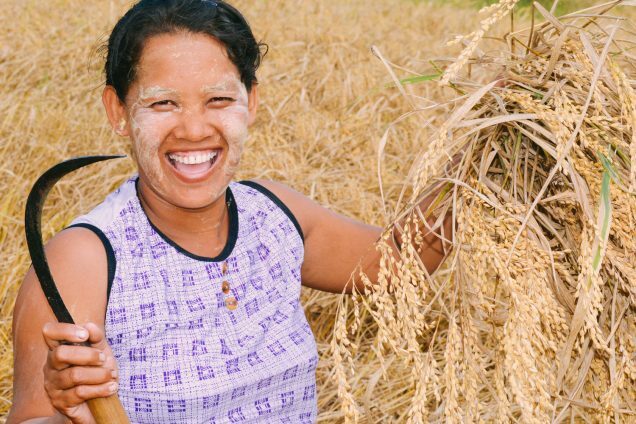 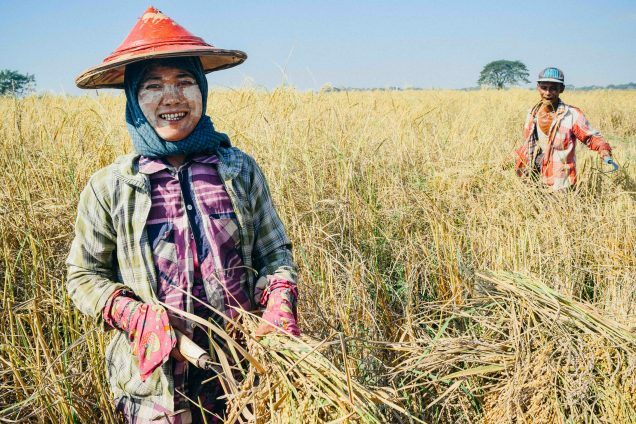 We’re very pleased to report that the second harvest at our Myanmar rice farm was a huge success. 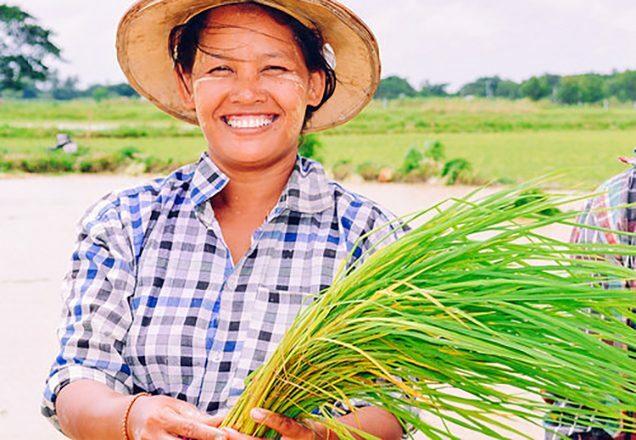 The crop yielded approximately three tons of rice per acre at the 12 acre farm, or approximately 30,000 KGs. 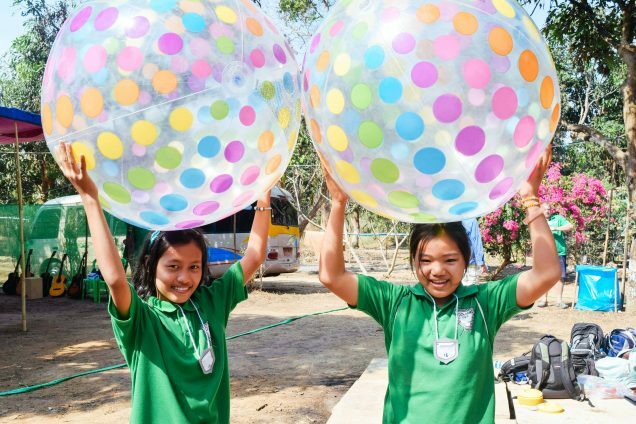 We’re extremely overjoyed with the result. 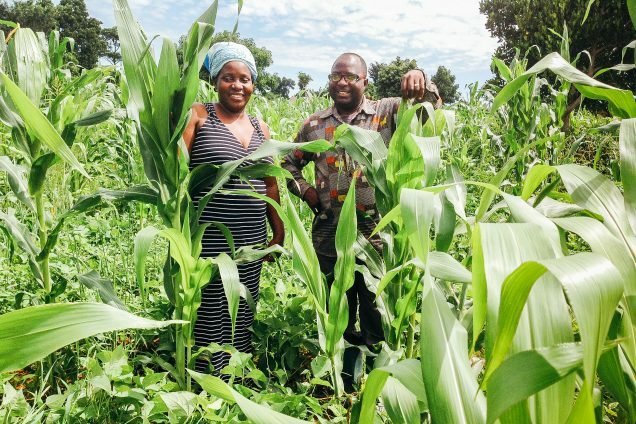 It’s a vast increase over last year’s harvest thanks to improved efficiency, higher quality fertilization and better irrigation techniques employed by our native team. 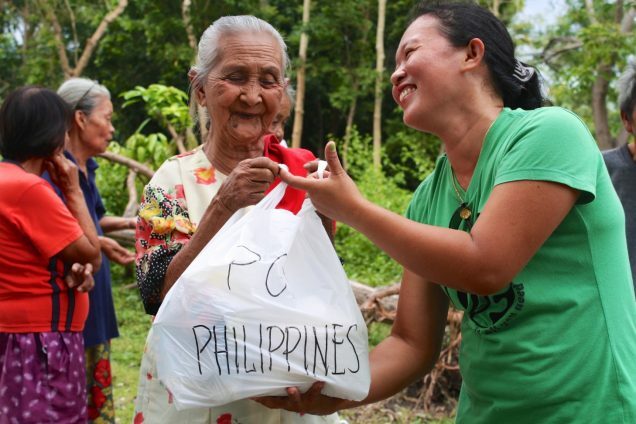 Photo: A widow being cared for by our native team is happy to receive fresh groceries and clean water as she recovers from Typhoon Haiyan. 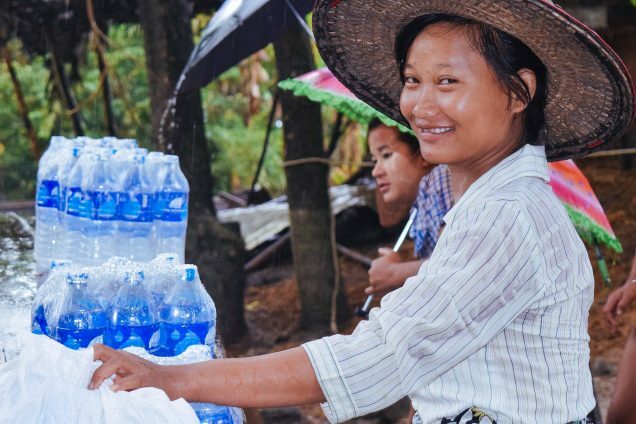 Our native team is coordinating local relief efforts in response to one of history’s most powerful storms ever recorded. 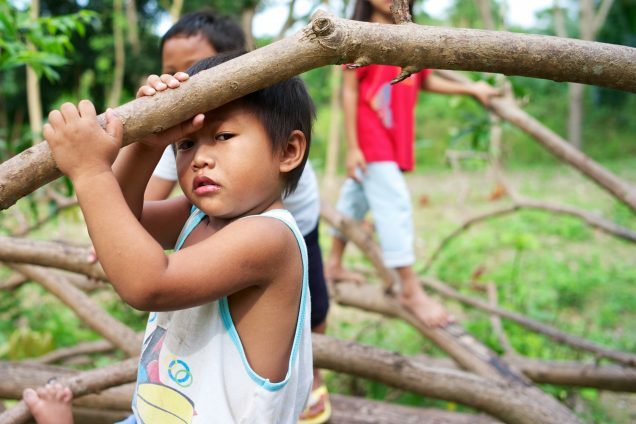 The storm made a direct hit across Cebu Island, where several of our programs are based, including our main campus. 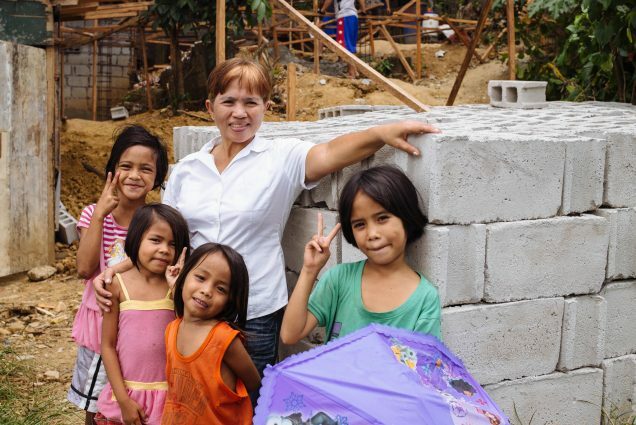 Rather than take a broad approach, we’ve instead opted to care for 21 families and 16 widows severely affected by the storm, so we can more effectively ensure a long-term beneficial use of relief funds. 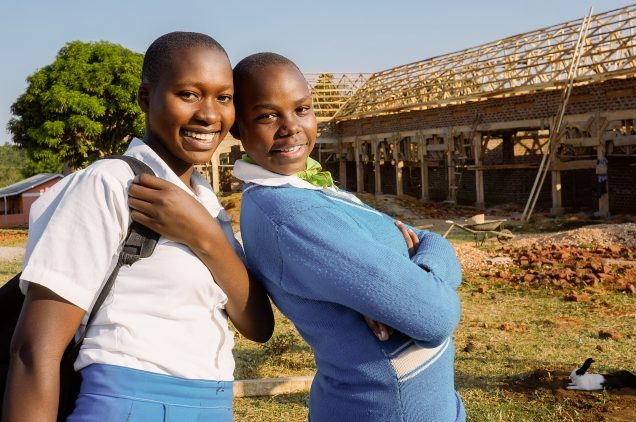 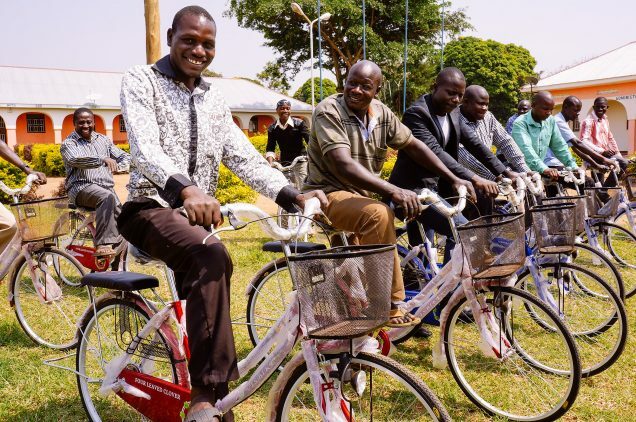 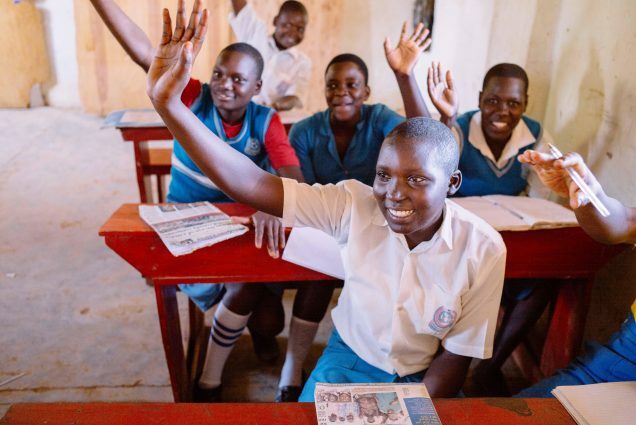 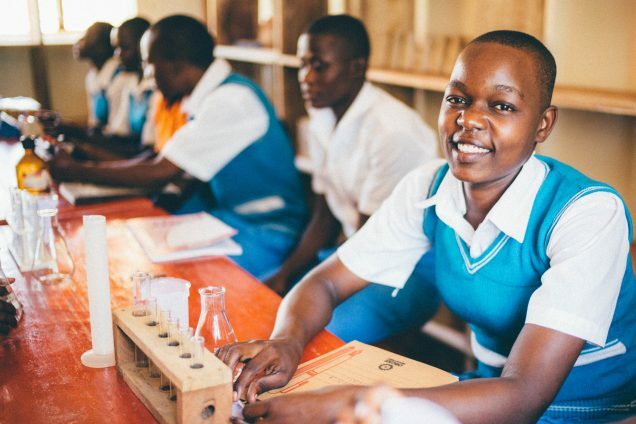 Uganda rural school experiences much success, and… a visit from the President! 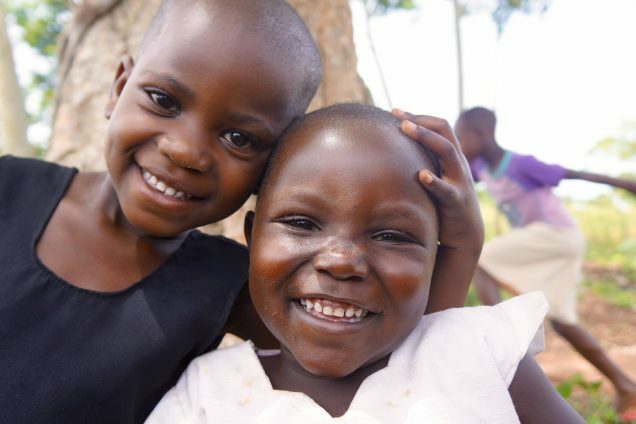 Photo: Children at our main Uganda campus were among those gathered for a very special presidential visit. 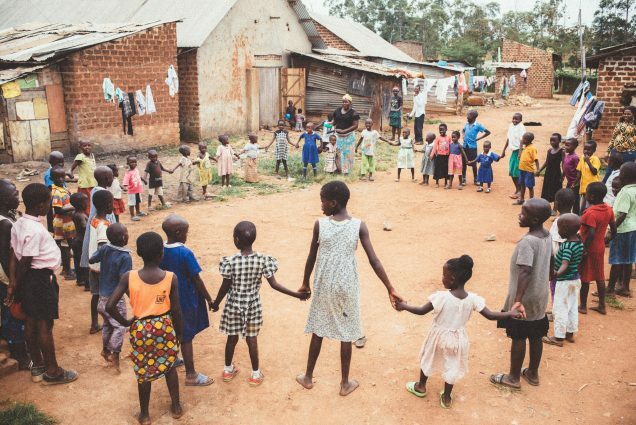 Our Uganda campus, located in a remote part of southeastern Uganda, experienced a very rare and special visit. 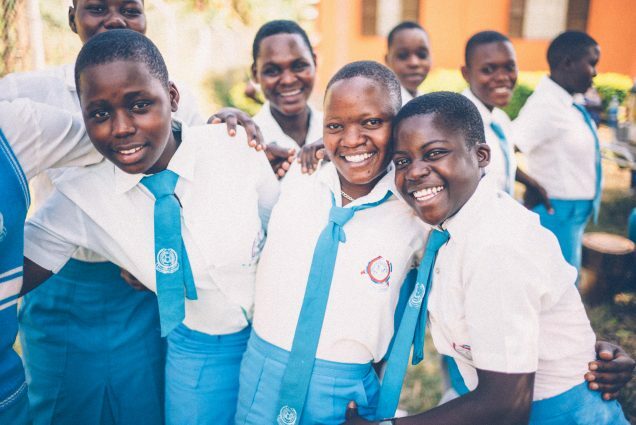 The President of Uganda and his entourage landed their helicopter in front of our campus, local leaders gathered to greet him, and our high school choir presented him with a set of cultural songs and choreography. 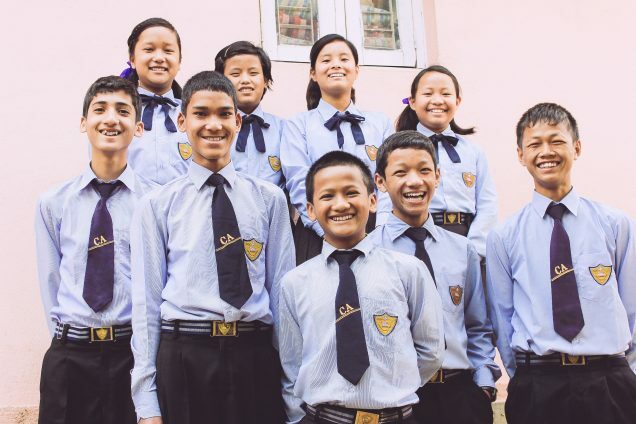 Our native staff, teachers and the students were all elated by the honor of his visit, an experience they will never forget. 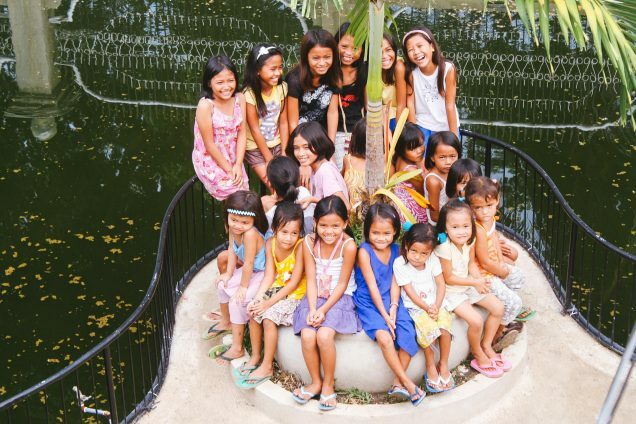 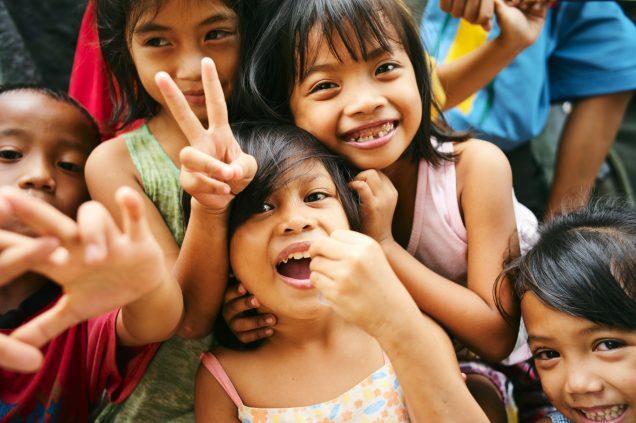 Photo: Children on the island of Cebu who are among the estimated 500,000 now homeless. 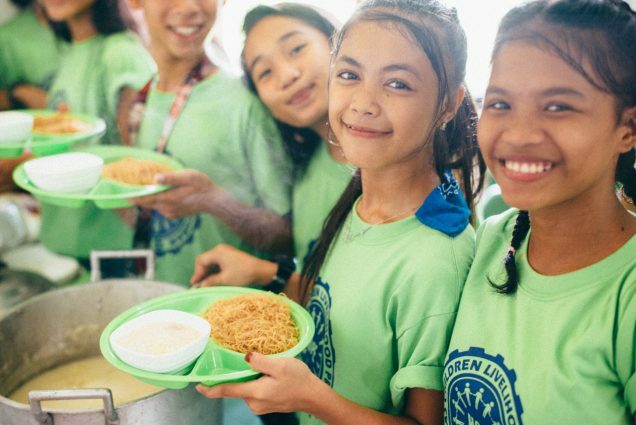 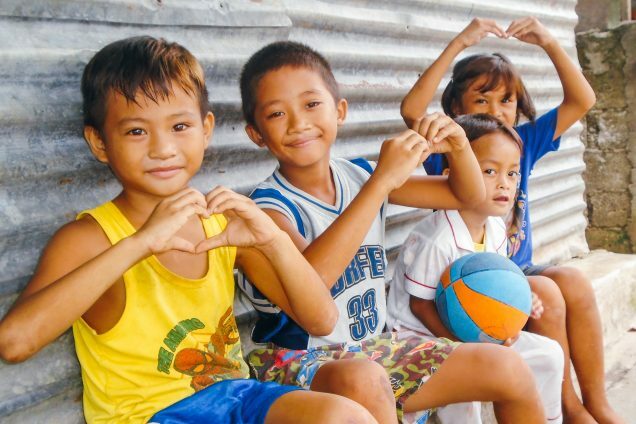 Thanks to a steel-reinforced rebuild of our Philippines main campus two years ago after a similar cyclone nearly destroyed our entire facility, our native team remained safe and dry during one of the strongest storms in recorded history. 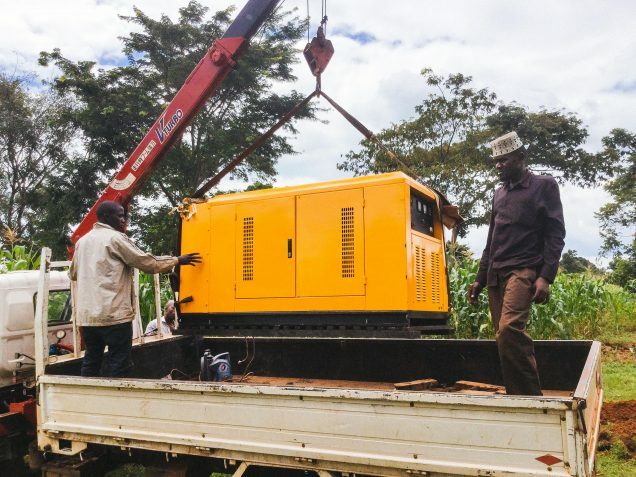 This allowed for our team to be among the first responders to the heartbreaking devastation the storm left in its path. 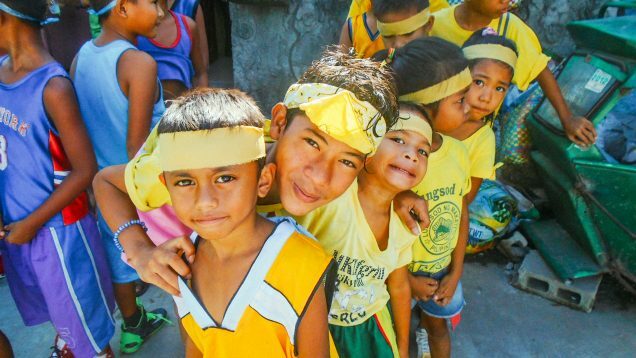 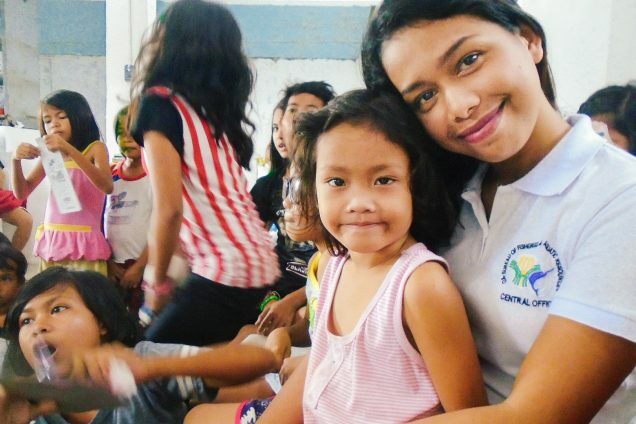 Our team is headquartered on the island of Cebu, one of the most severely affected islands in the path of the storm. 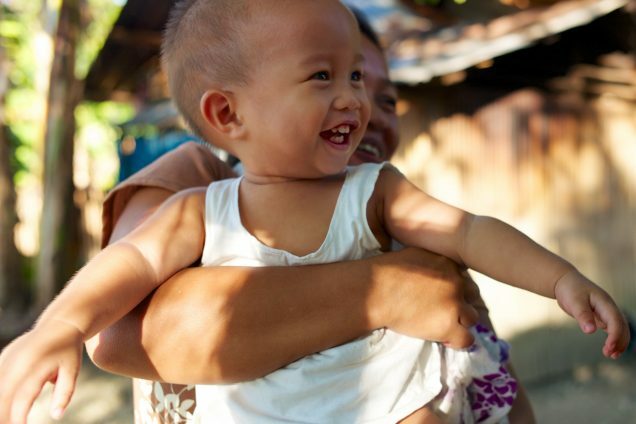 Photo: Thanks to your support, his mother earns a good income through our crafts business program, ensuring his proper nutrition and a brighter future. 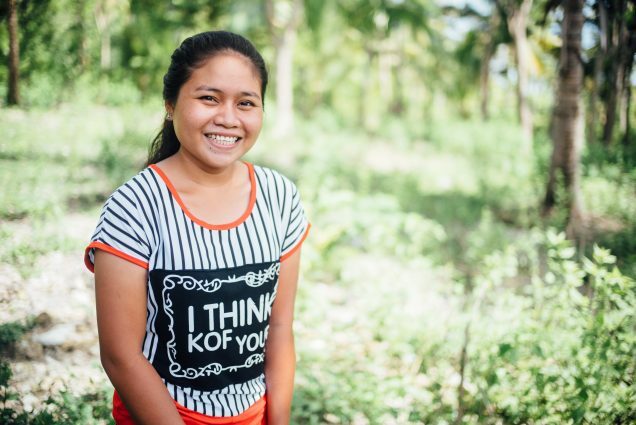 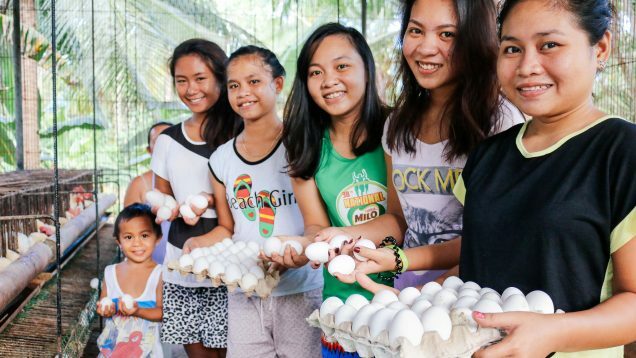 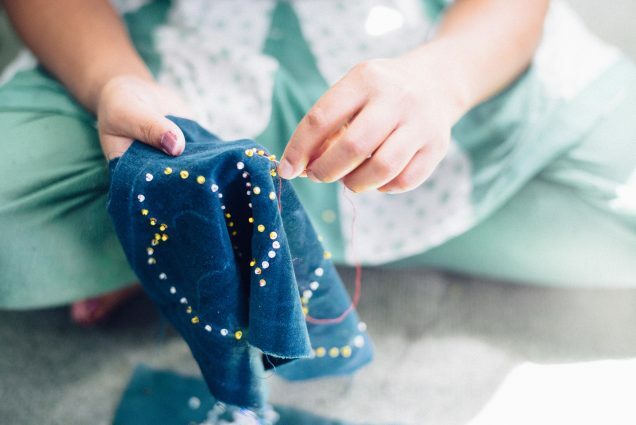 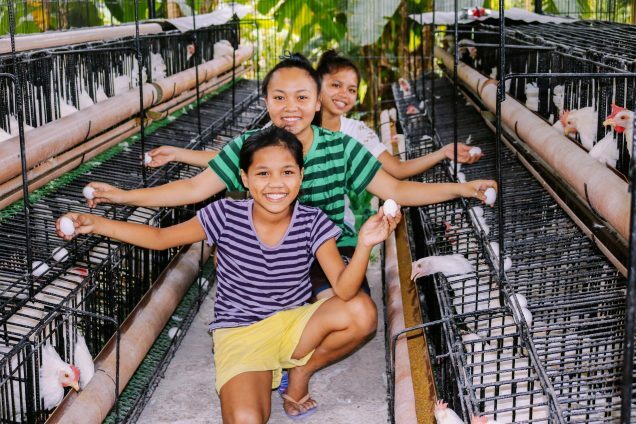 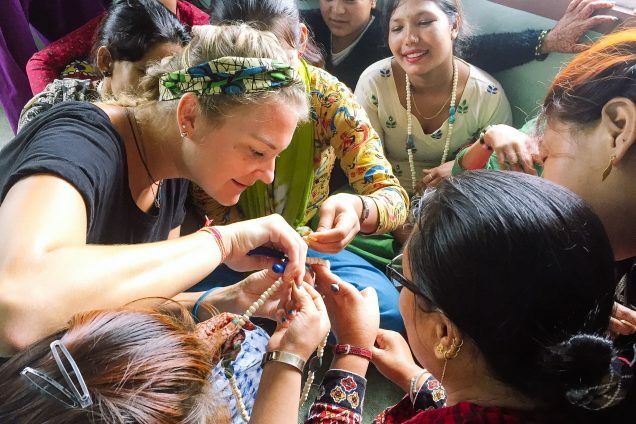 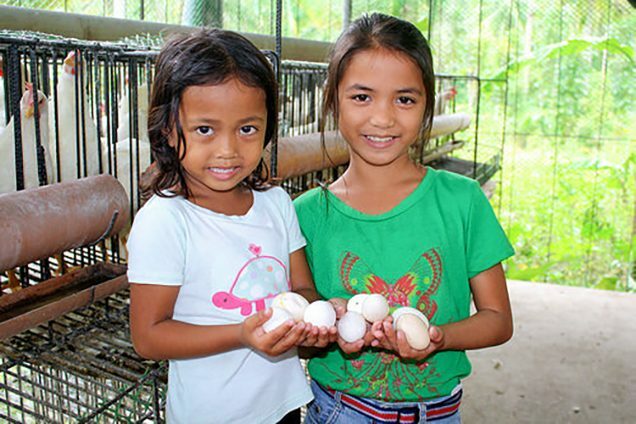 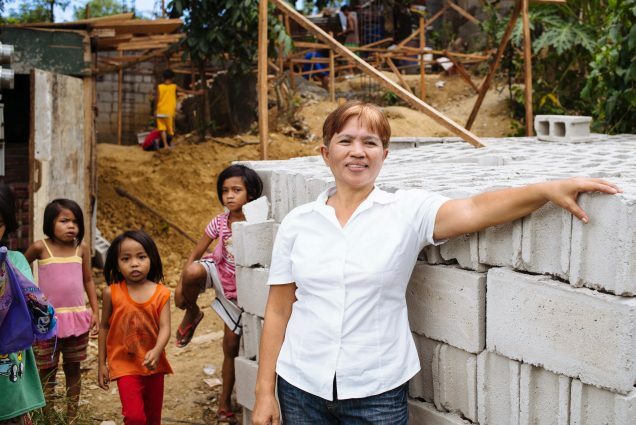 Now in the third year of our craft-making business empowerment program in the Philippines, we continue to see great progress and success among the women enrolled. 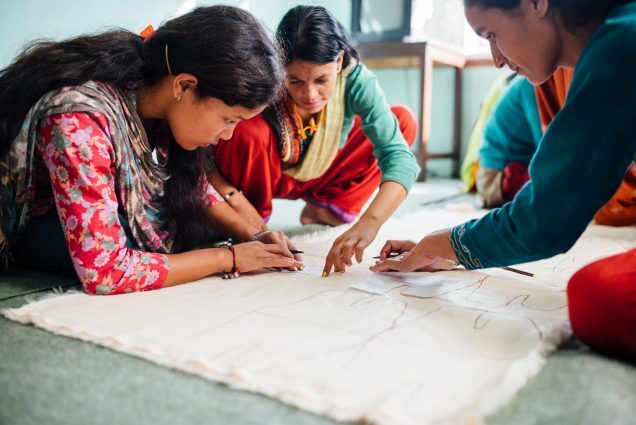 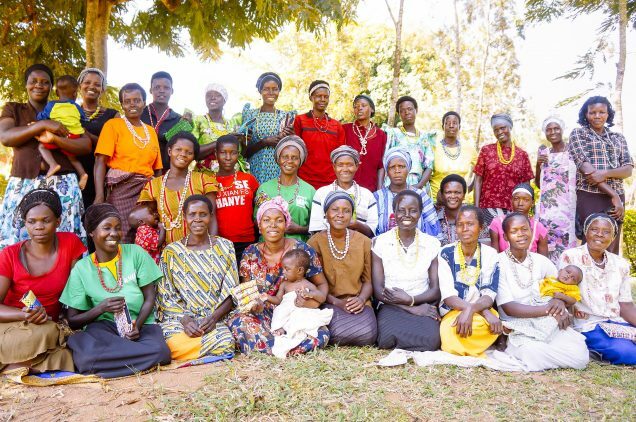 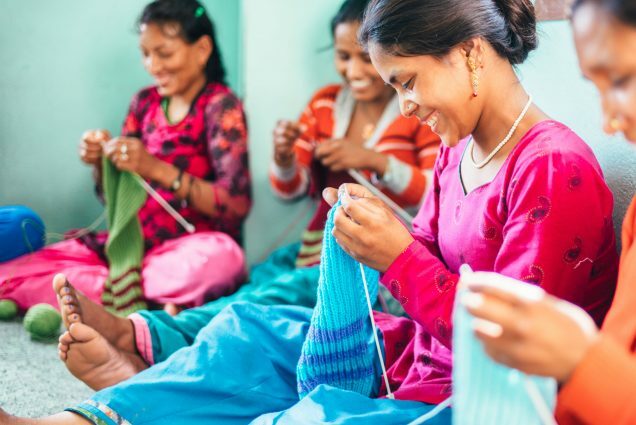 We originally trained 25 widows and single mothers in various weaving skills. 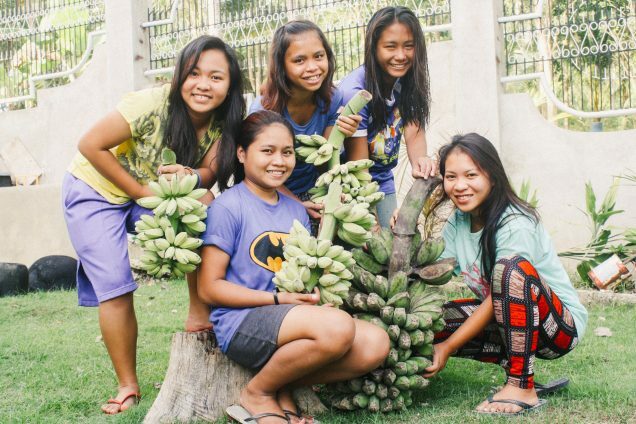 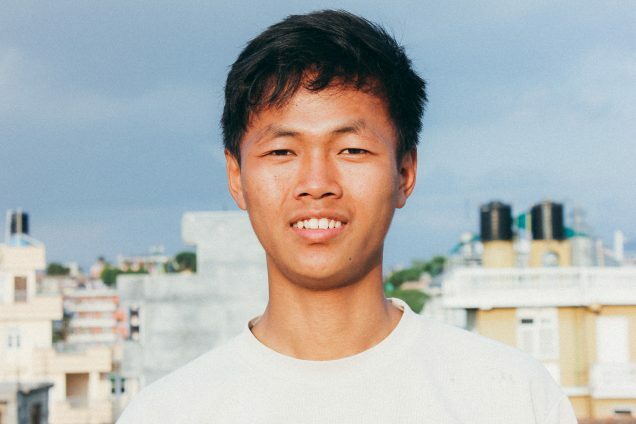 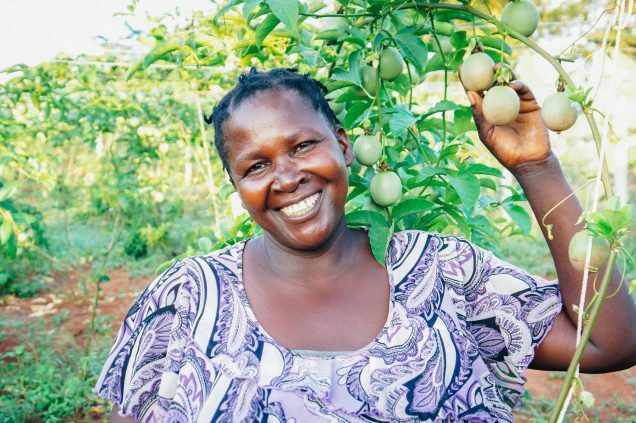 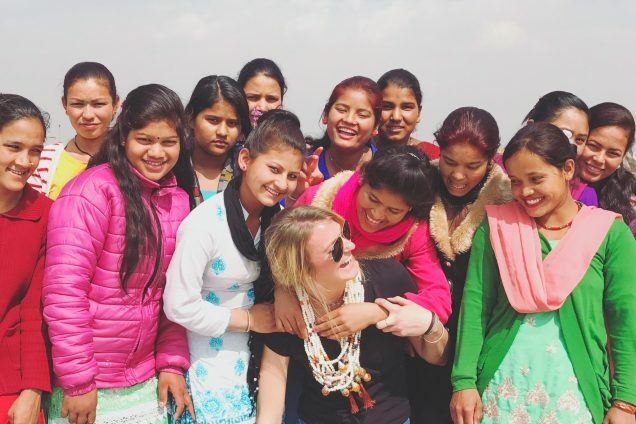 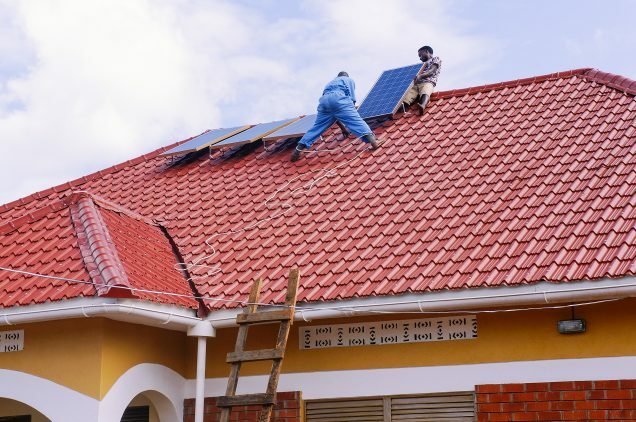 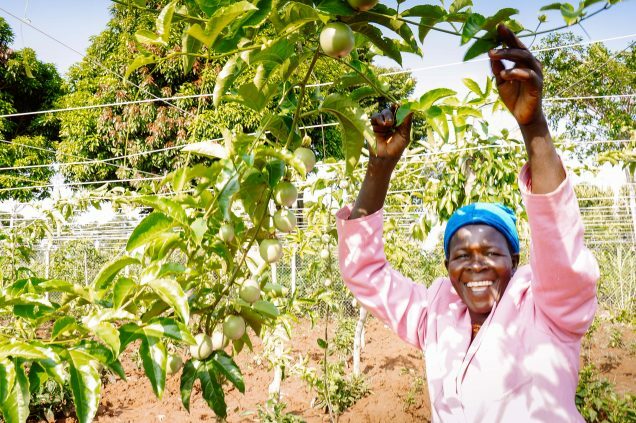 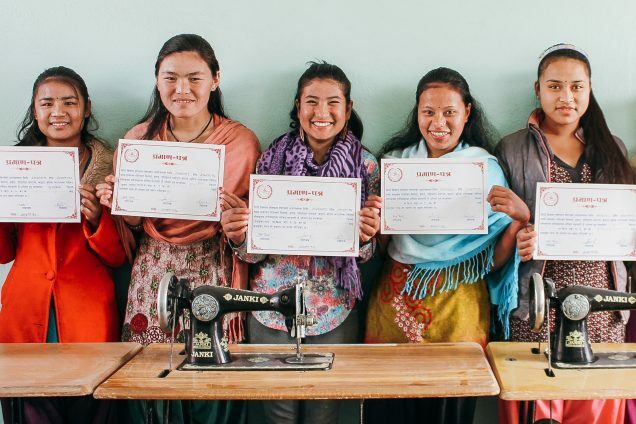 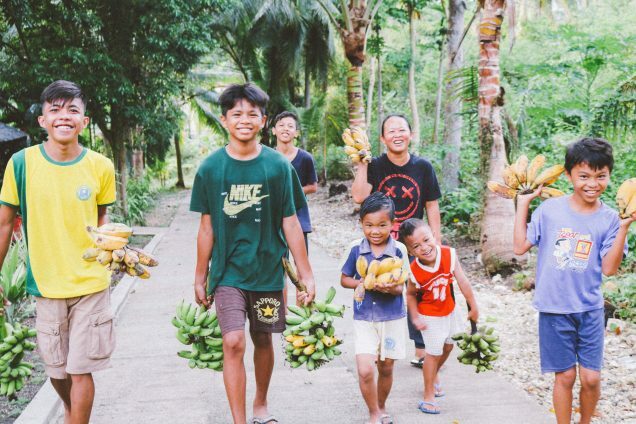 Of the original group, 19 have remained in the program and are seeing significant income generation, and a handful of new trainees are quickly seeing success as well. 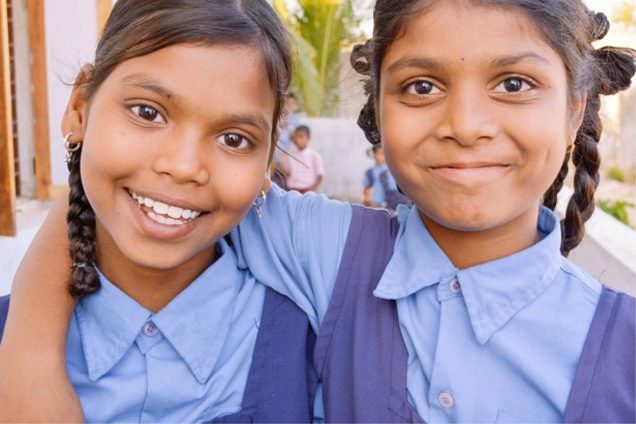 Photo: Once trapped in lives of child labor with little hope, now rescued, safe and thriving at our India Girls Home. 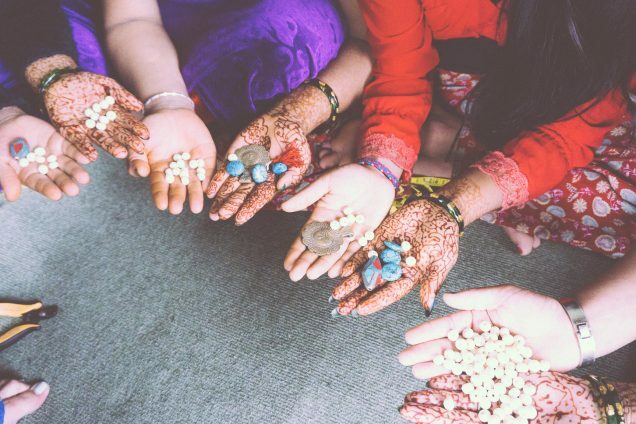 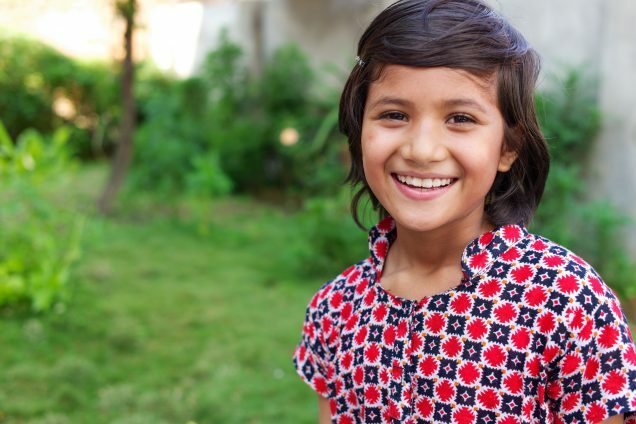 Problem: Almost 50% of arranged marriages in India involve girls under the age of 18. 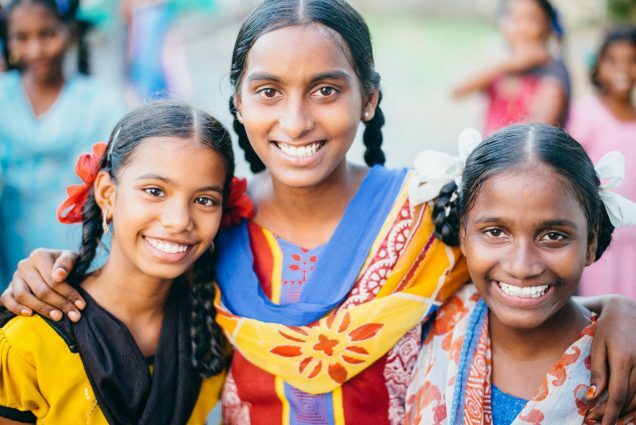 Motivated by extreme cultural pressures, relatives of our Indian orphan girls try to claim legal rights to withdraw the girls from the orphanage as early as age 12 or 13 so they can arrange for their marriages. 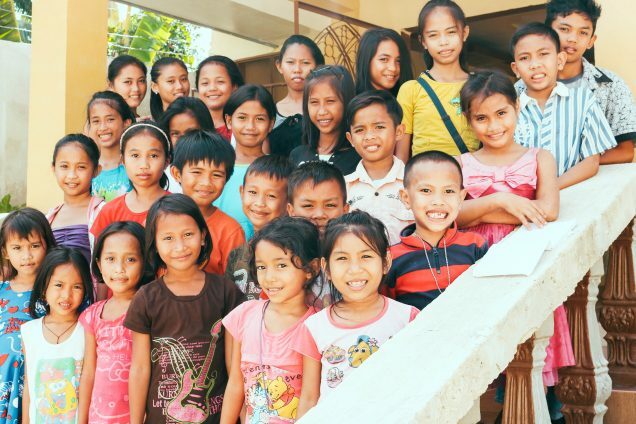 Photo: These children were among the hundreds who came for a free checkup at our newly expanded medical center. 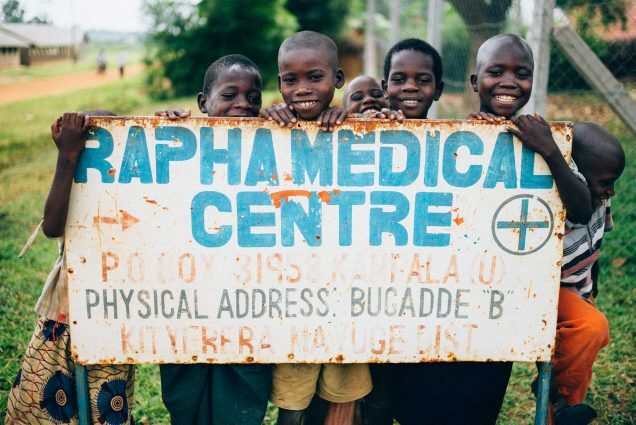 Thanks to a local government grant along with profits from our farmland enterprise, your donations were doubled to allow for the construction of an expanded medical clinic on our Uganda campus. 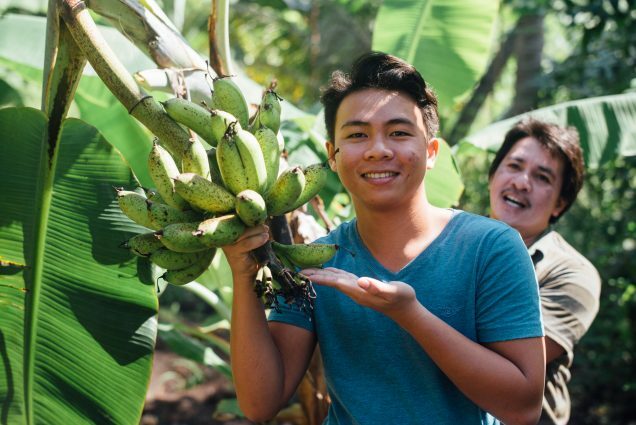 Land we purchased last year was used for the expansion. 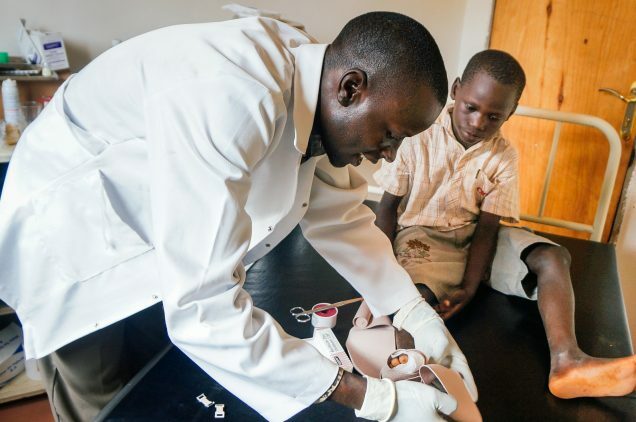 The facility now includes several examination rooms, offices, pharmacy stock room, and a 10-bed outpatient clinic. 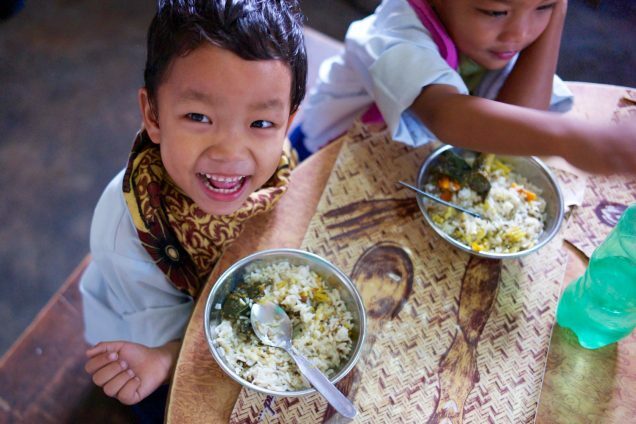 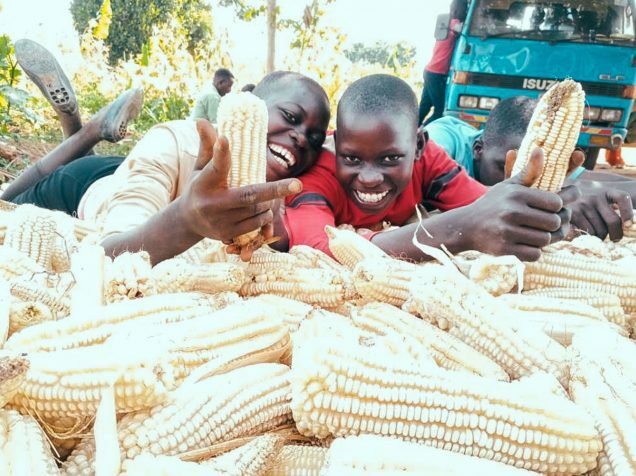 Photo: Boys at our primary school enjoy a good education and nutritious meals made from ingredients at our nearby farmland. 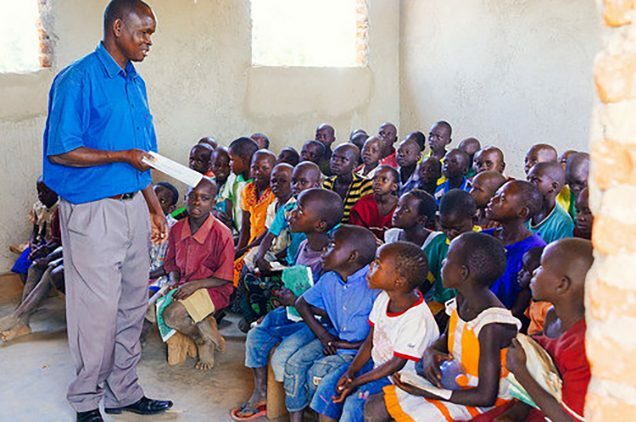 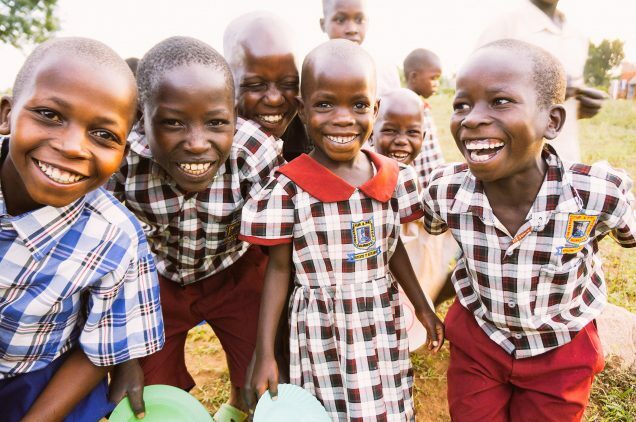 At our primary school in rural southeastern Uganda near the Kenya border, every school day over 200 children gather. 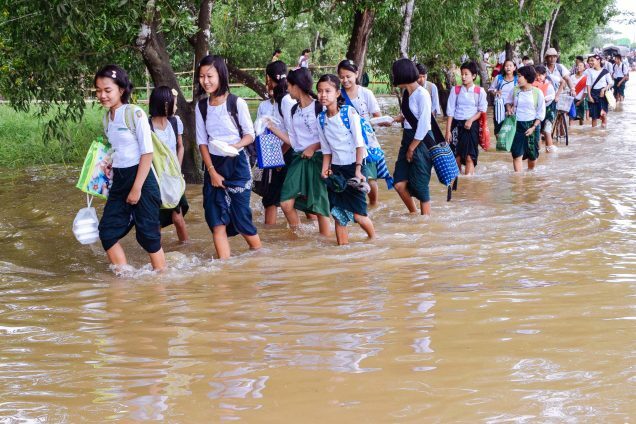 It’s the only school easily accessible in the area. 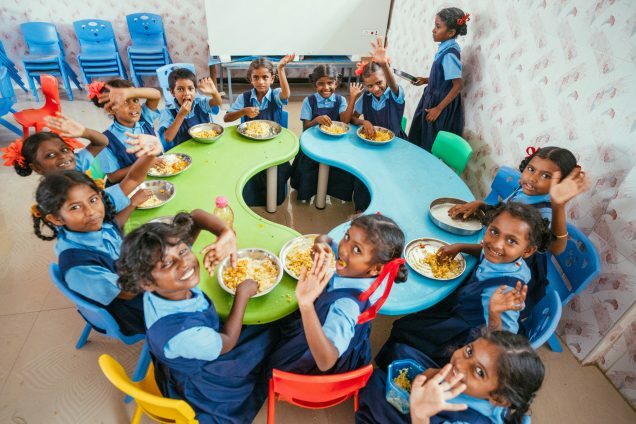 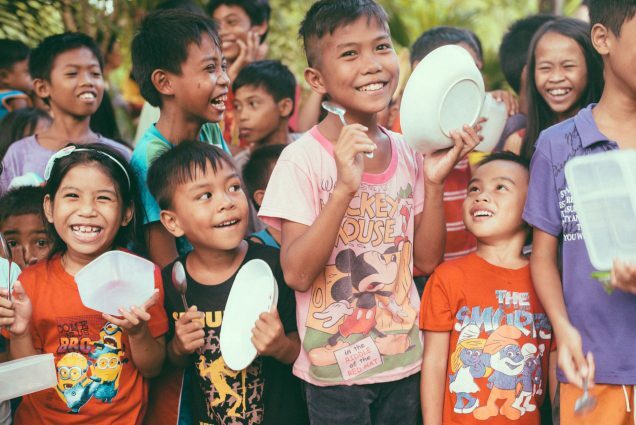 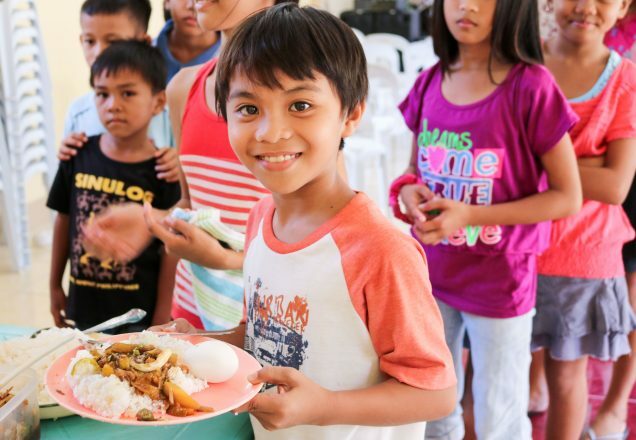 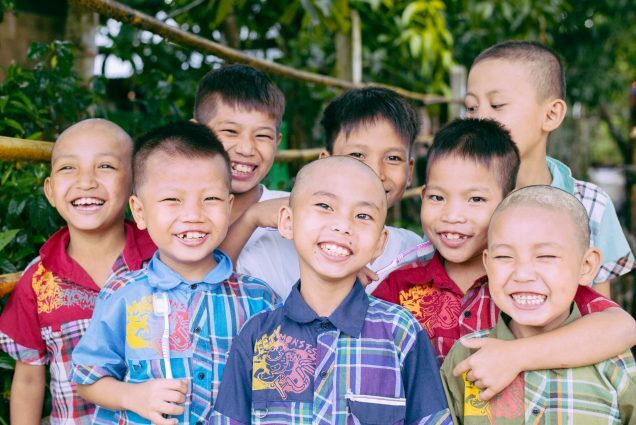 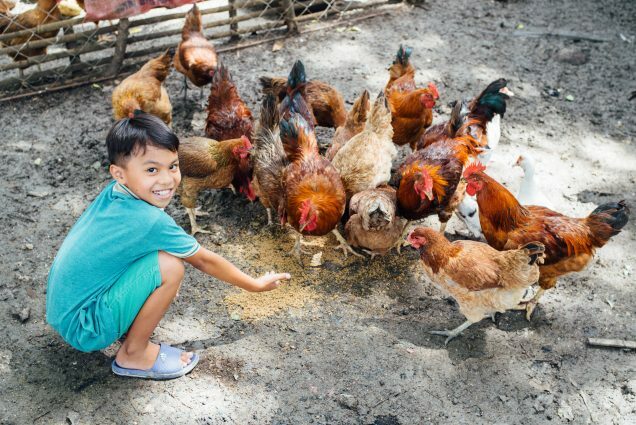 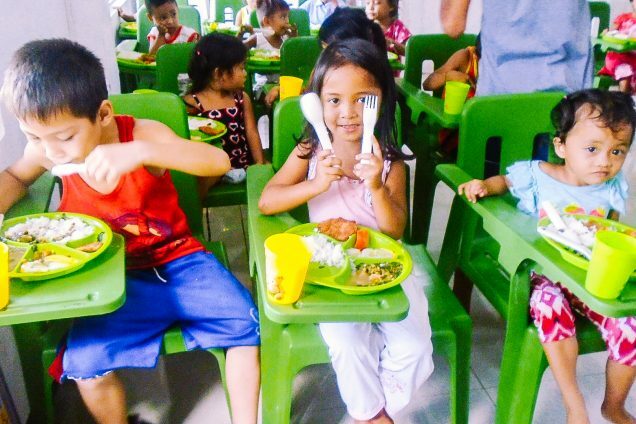 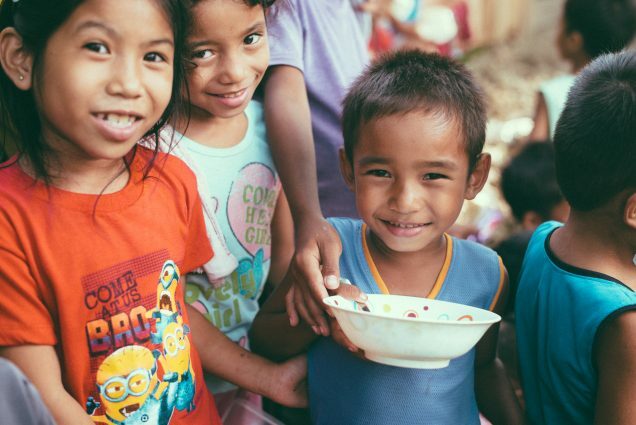 Here they receive nutritious meals and the loving instruction and care from our dedicated teaching staff. 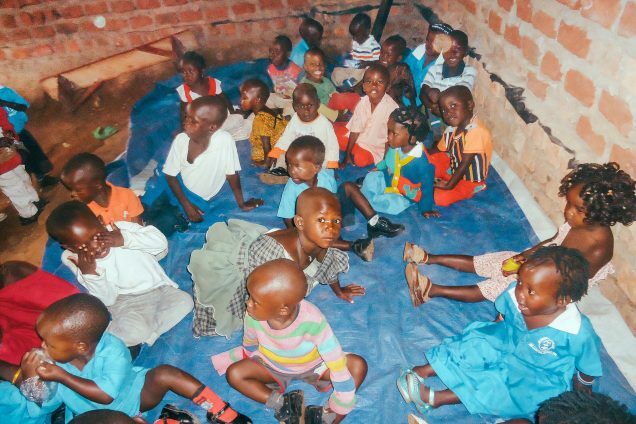 However, we are overwhelmed with the numbers of children, each class having about 35-40 in attendance.